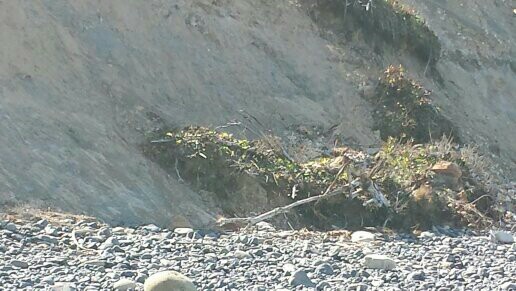 There was a group of 5 (2 playing in sand, 2 getting kite ready to fly, and 1 in tent/shelter) at Beach Entrance (off 56th & Rhododendron). 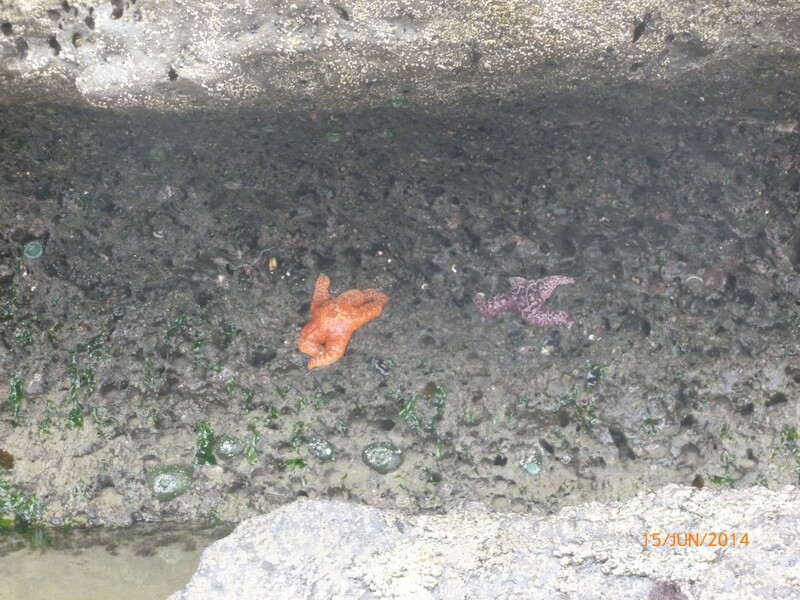 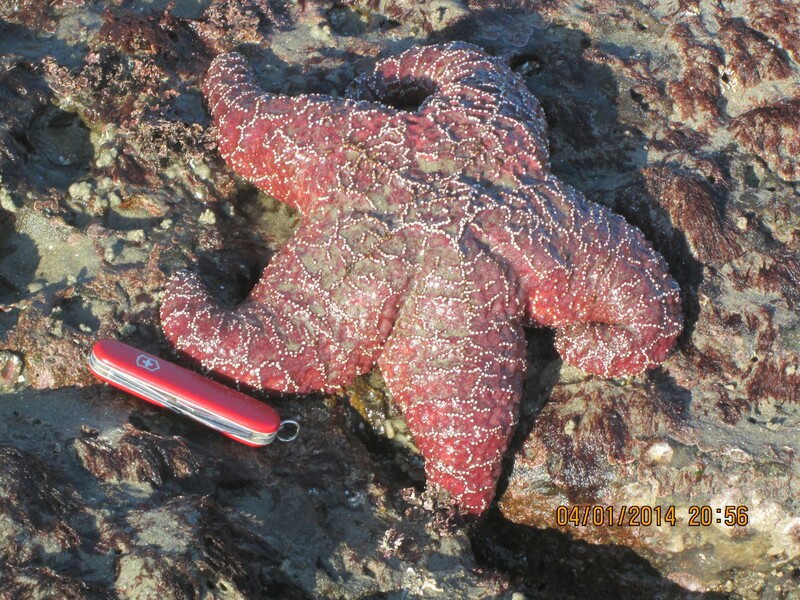 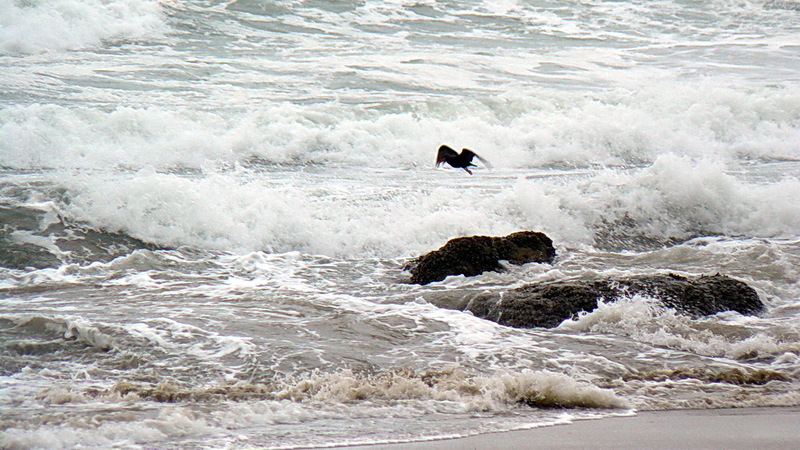 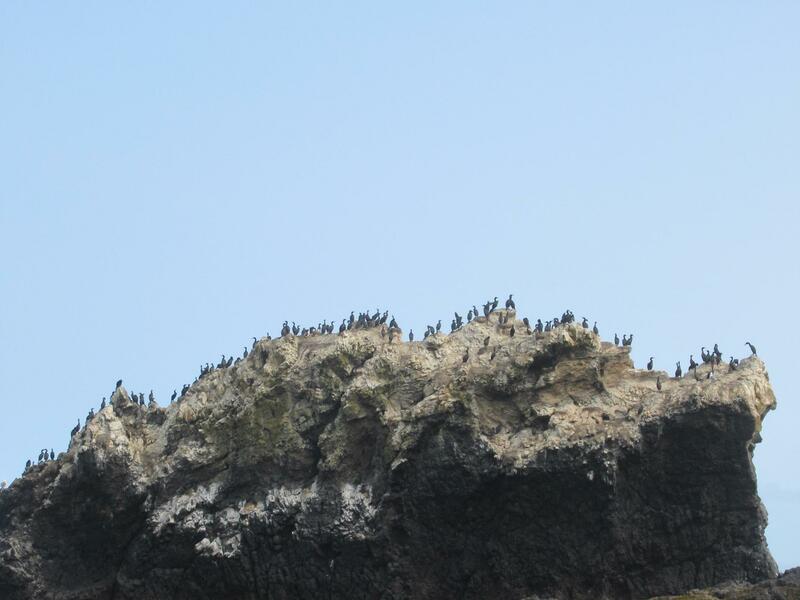 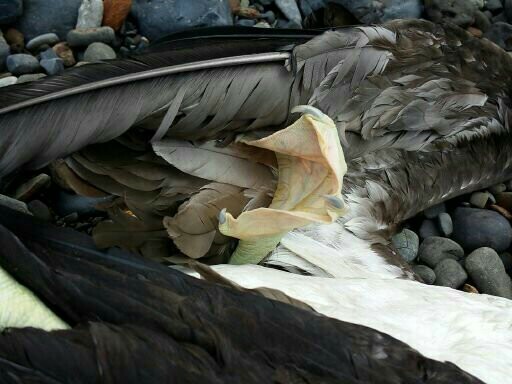 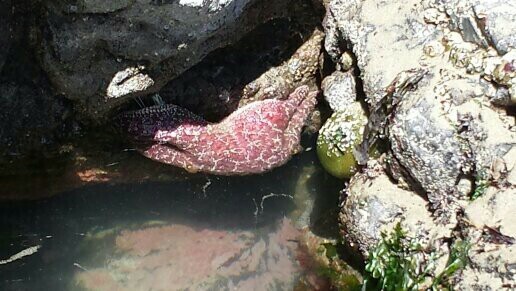 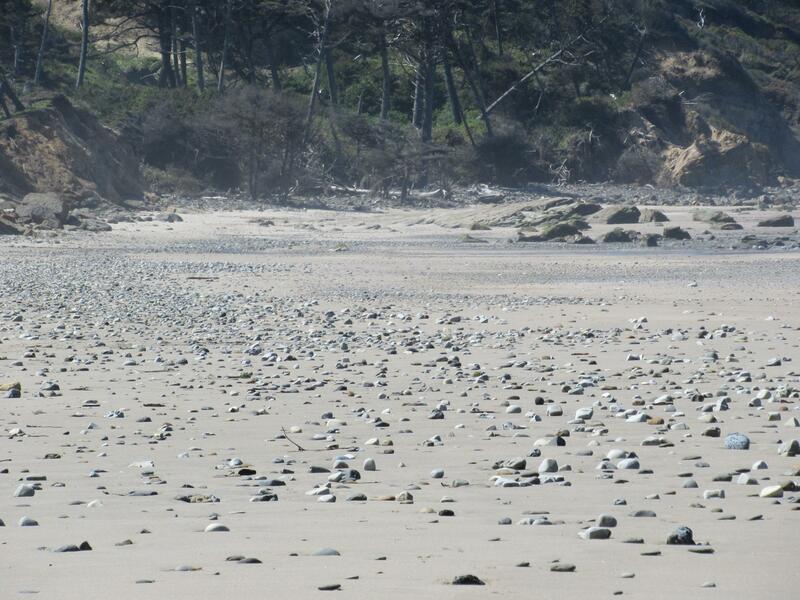 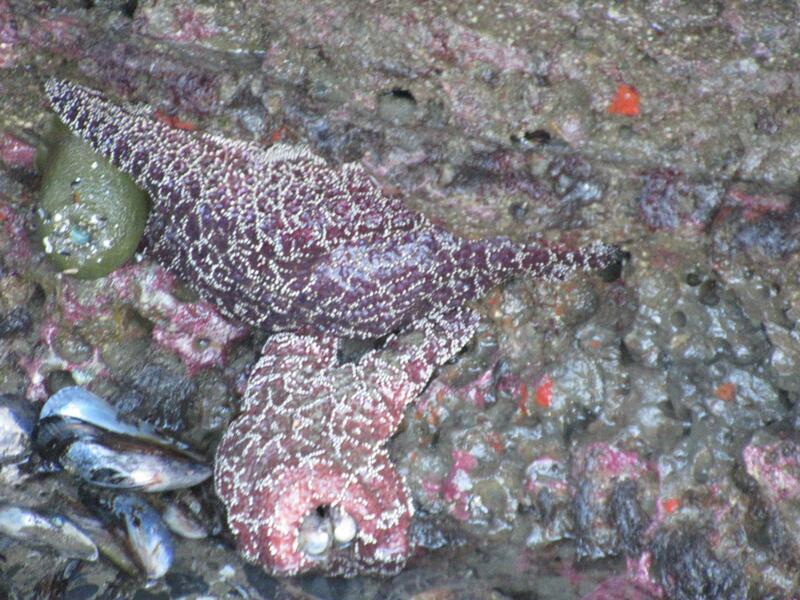 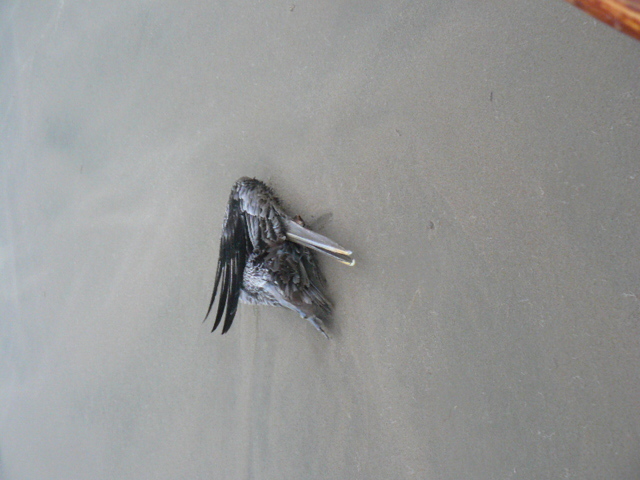 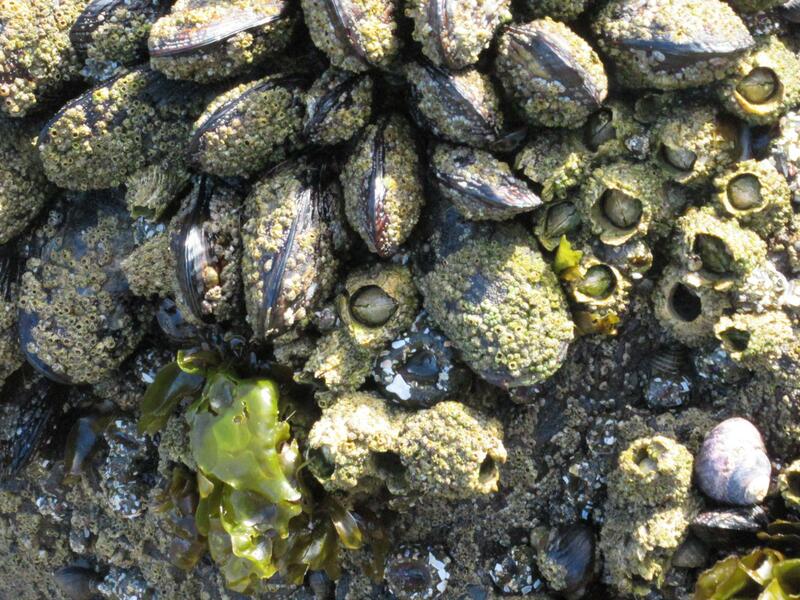 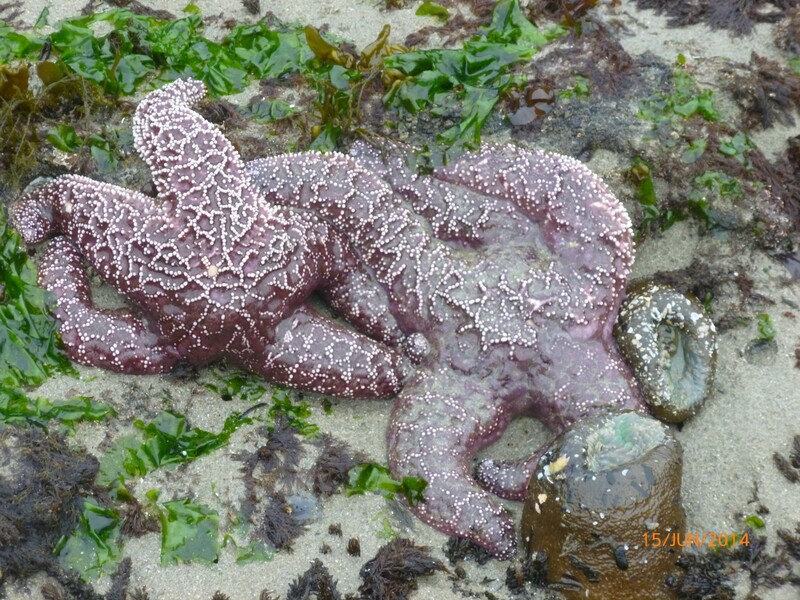 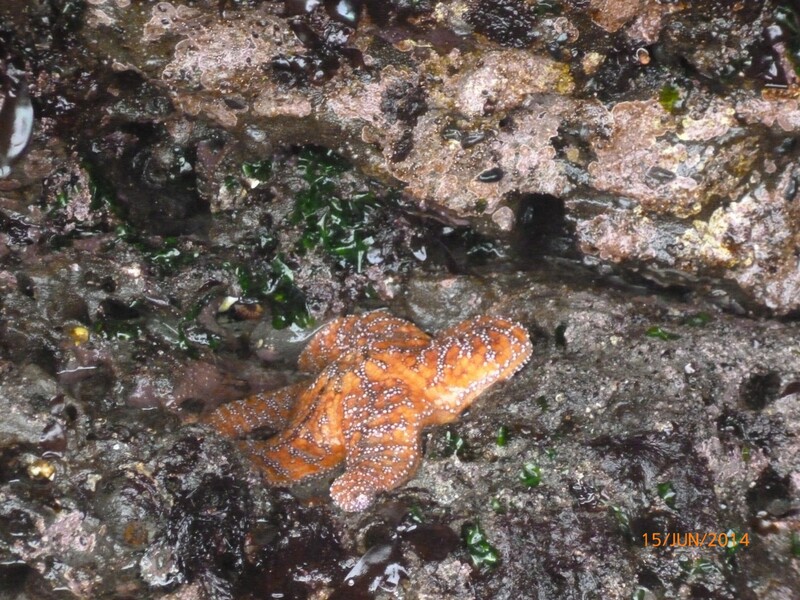 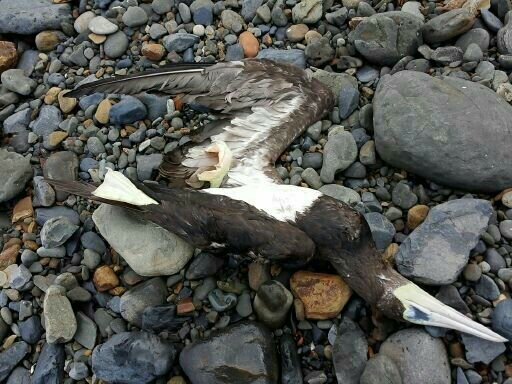 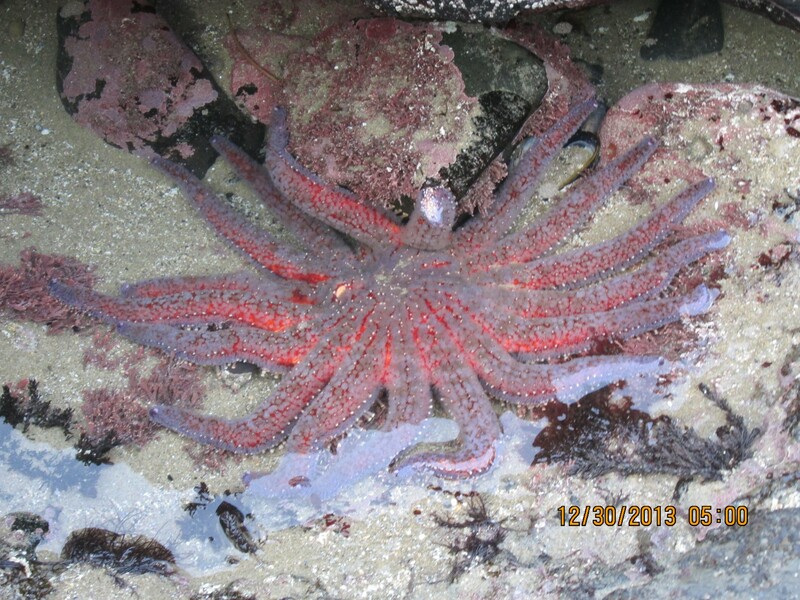 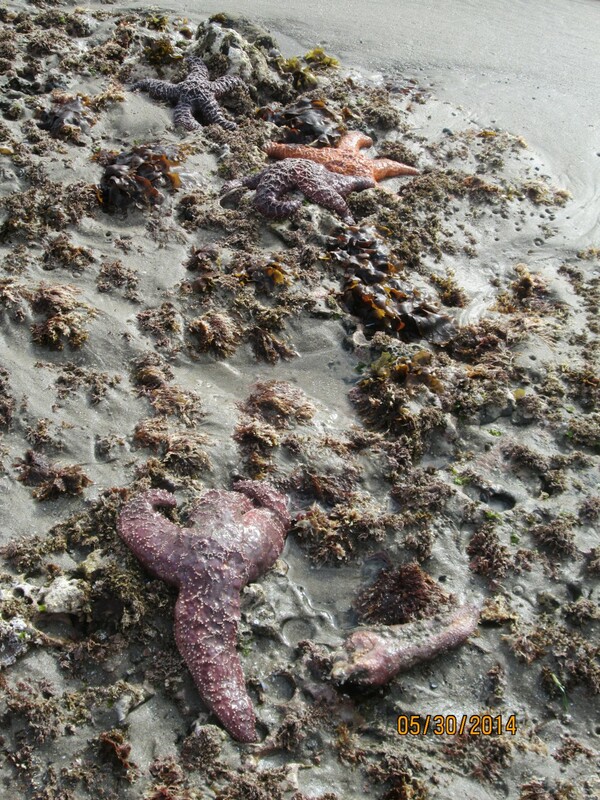 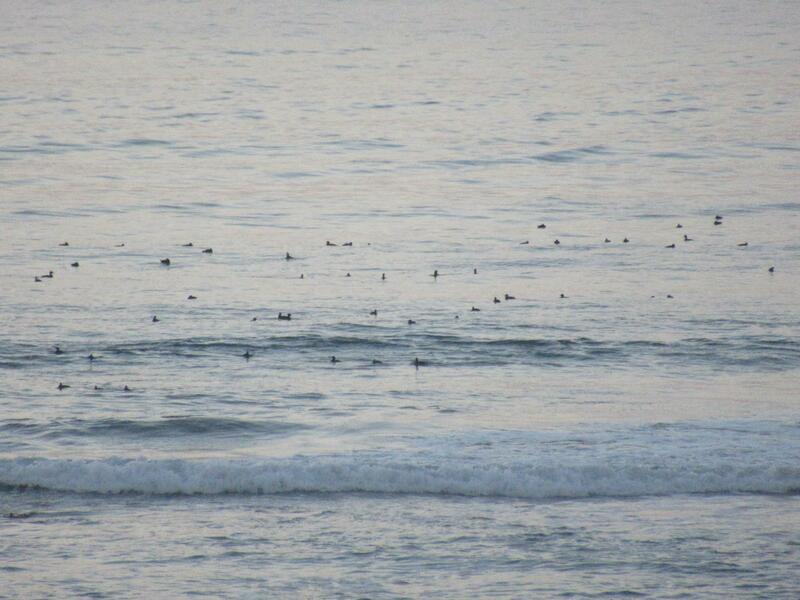 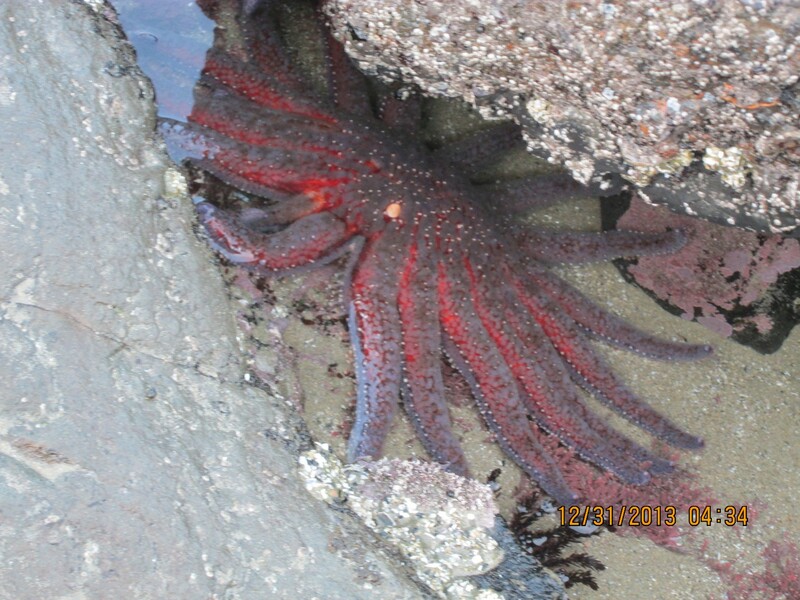 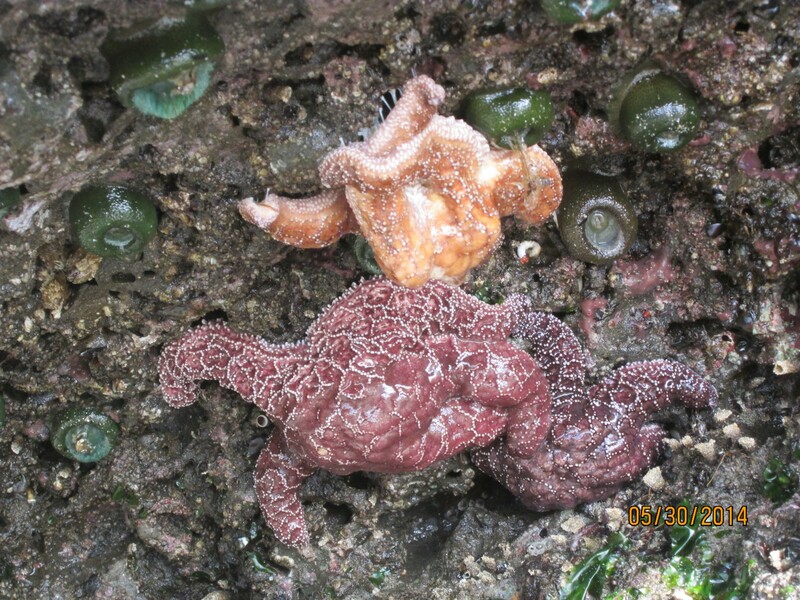 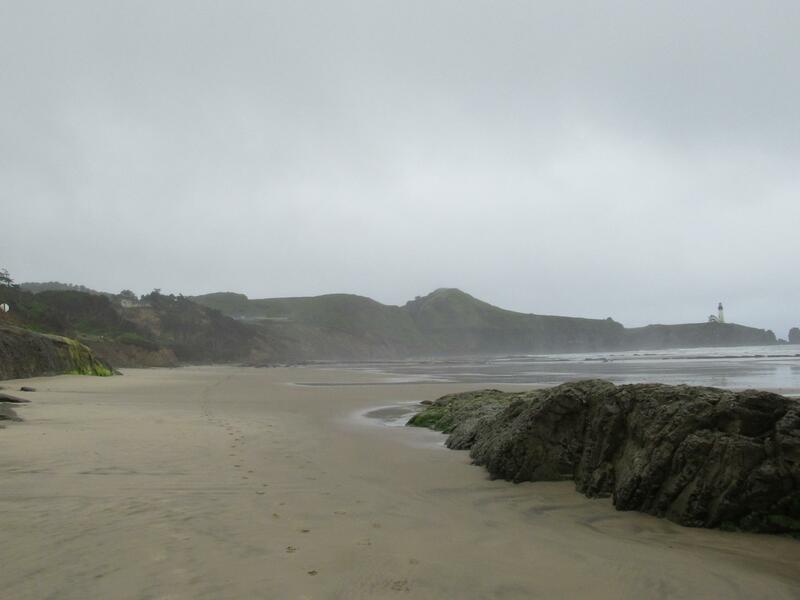 I walked and photographed Yaquina Cliff--by the time I got back they had already left. 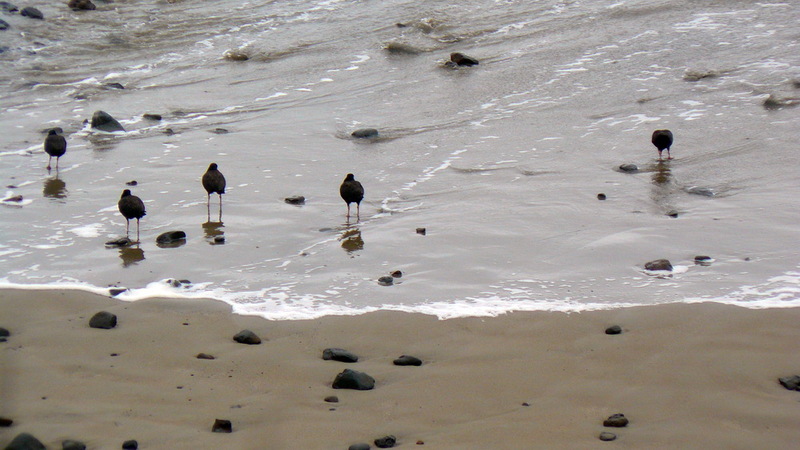 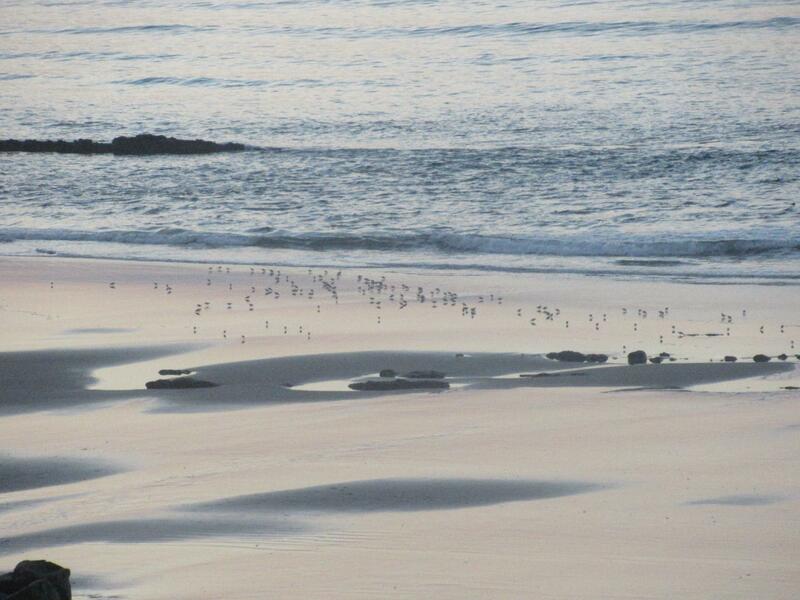 More gulls this visit. 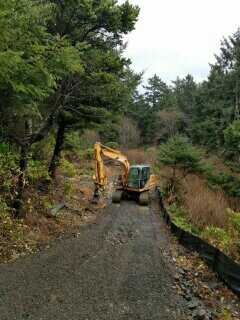 About 50 near the entrance off 56th and Rhododendron about 25 mile on the rest of the trip up to 68th street. 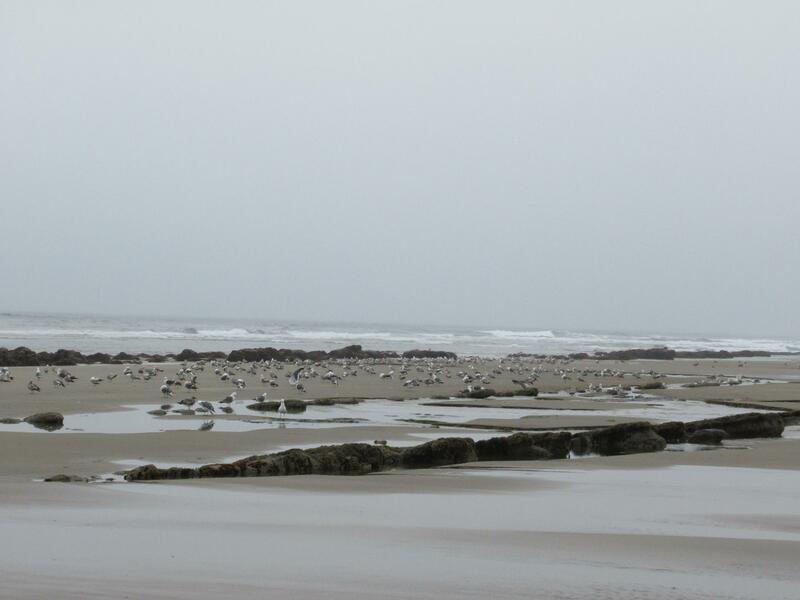 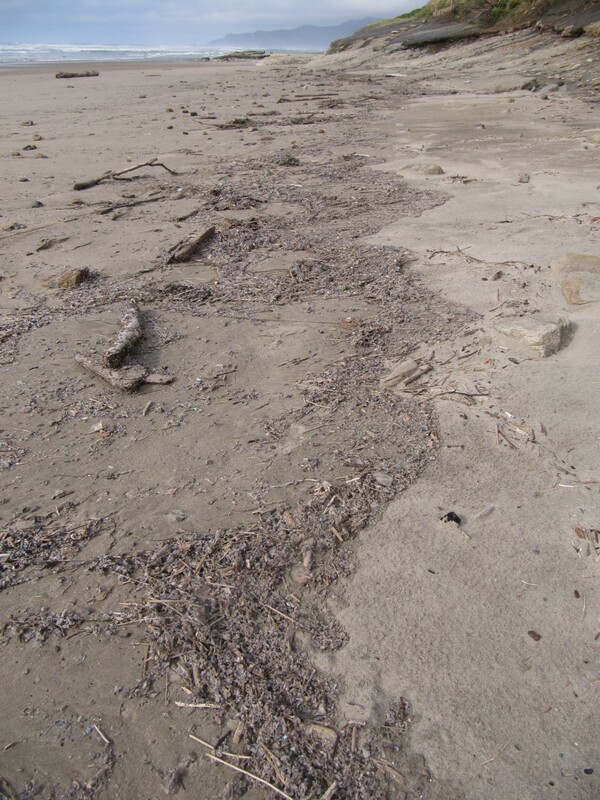 There was a lot more kelp along the wrack line. 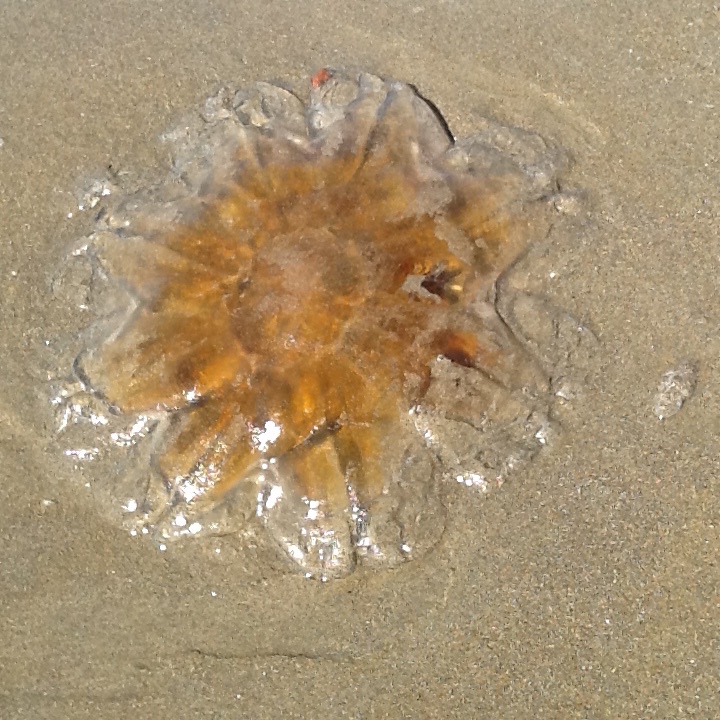 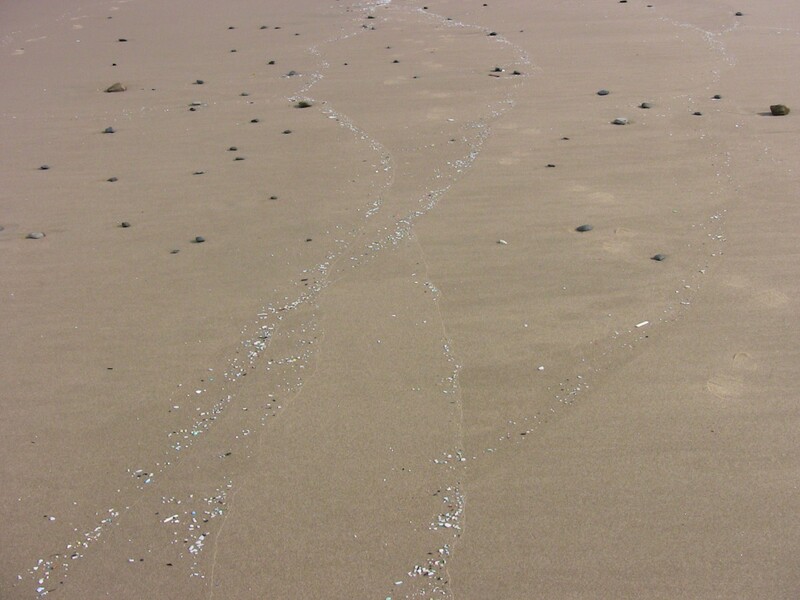 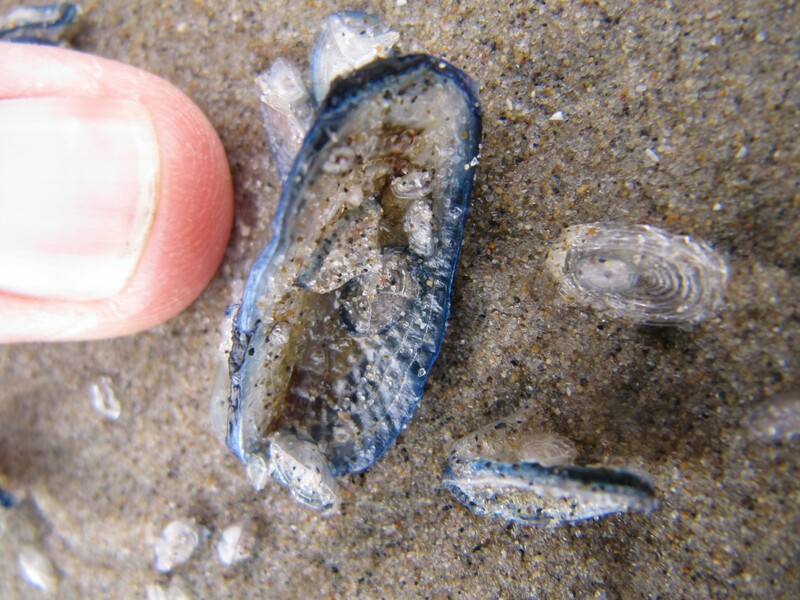 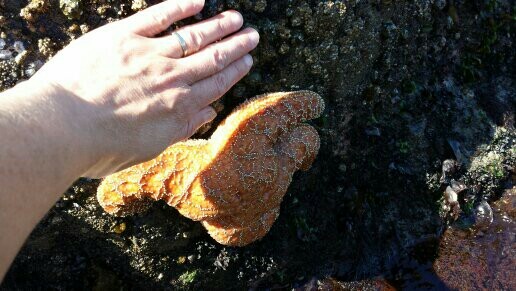 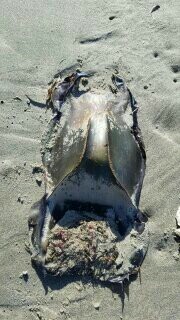 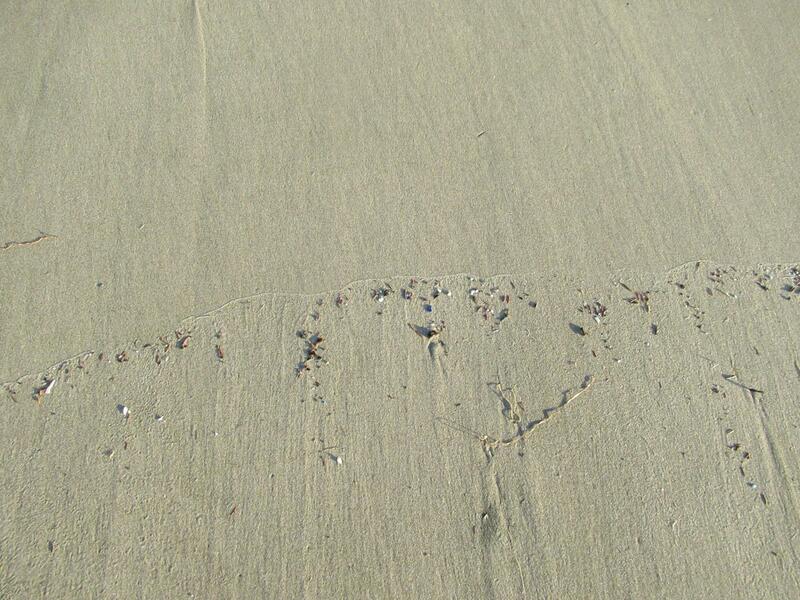 Saw about a dozen shells of Dungeness crabs--they had uniform lines for being molts. 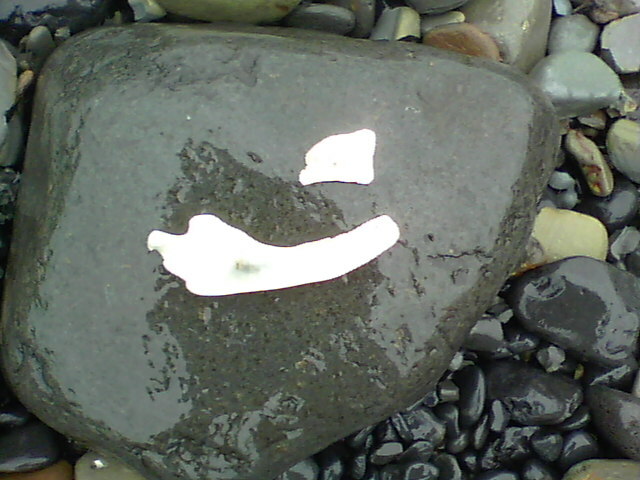 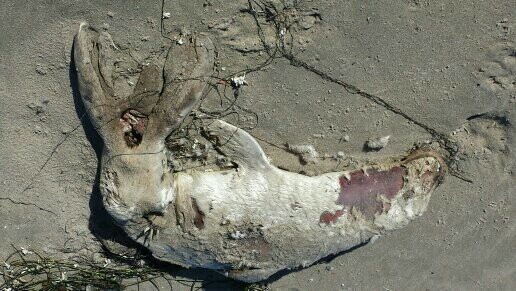 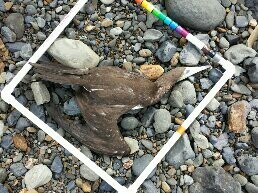 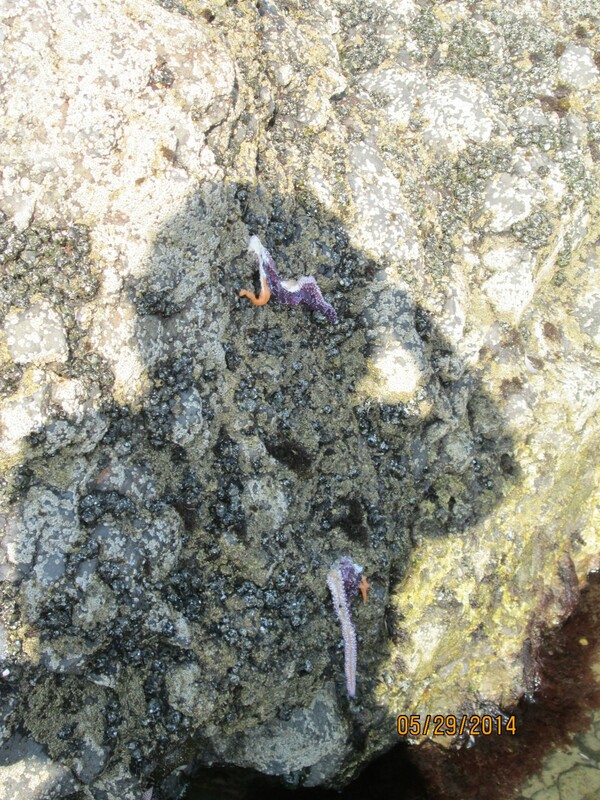 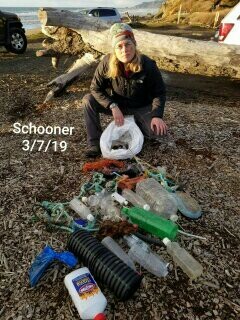 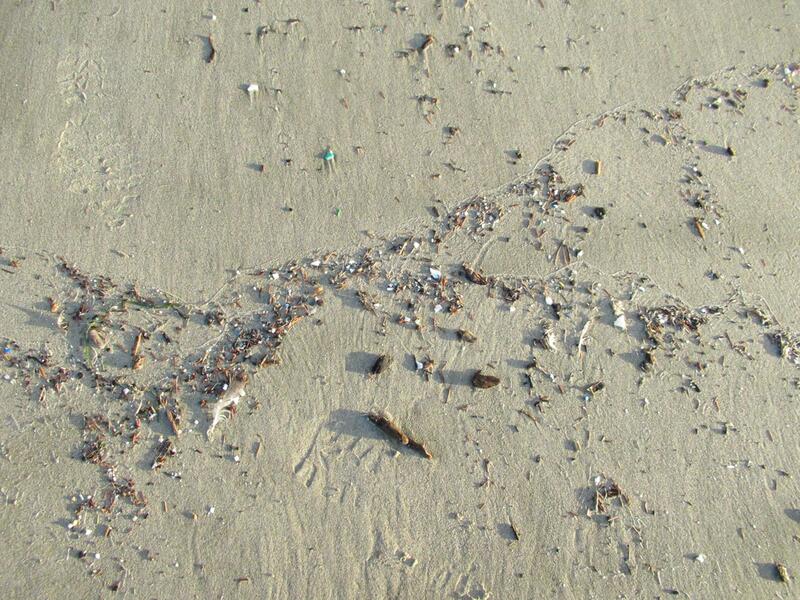 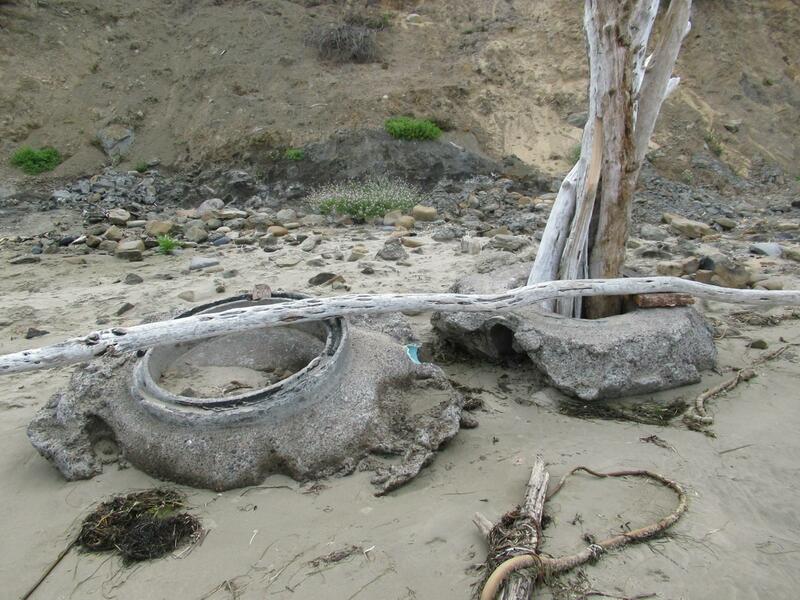 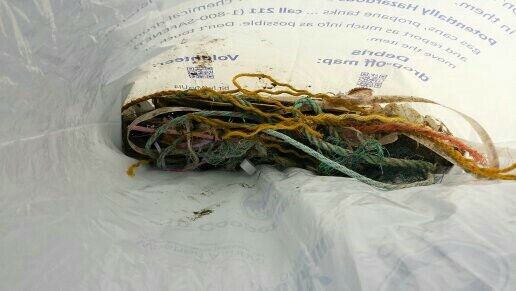 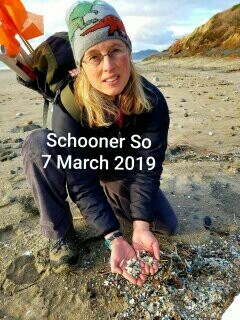 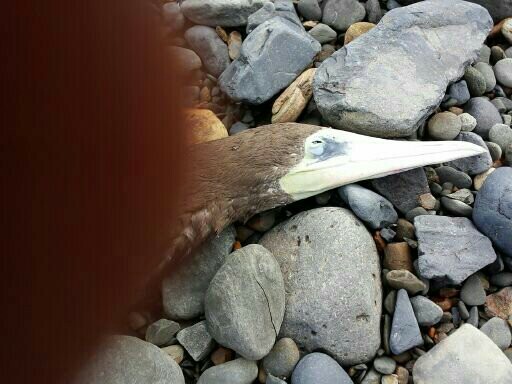 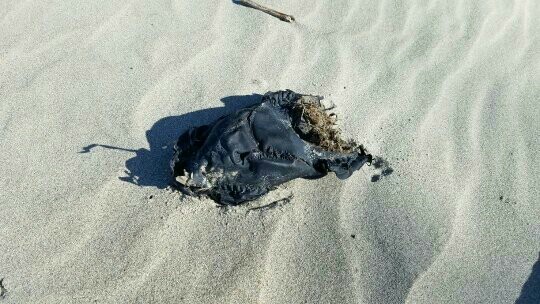 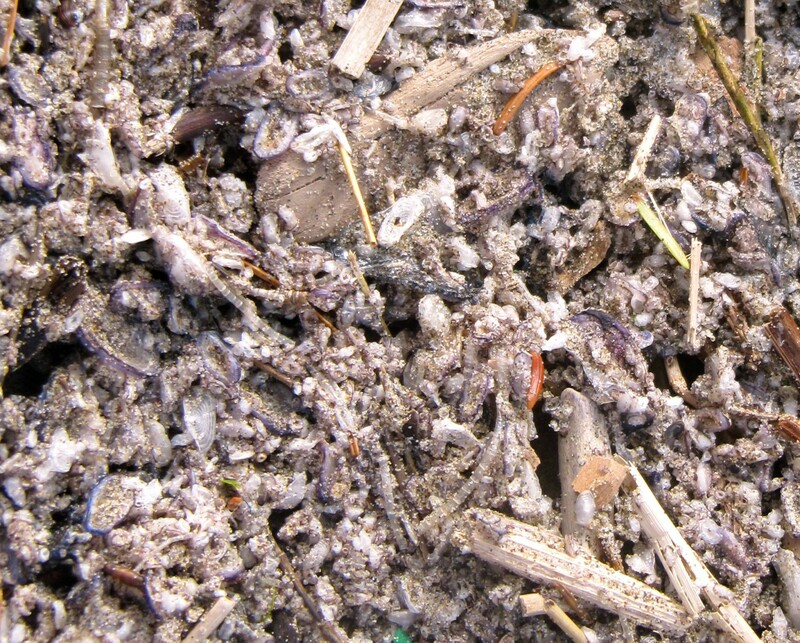 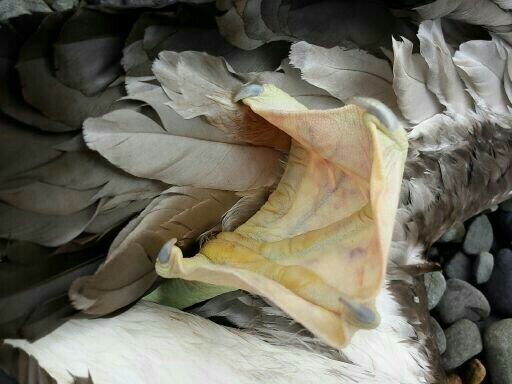 I saw very little plastic on the beach. 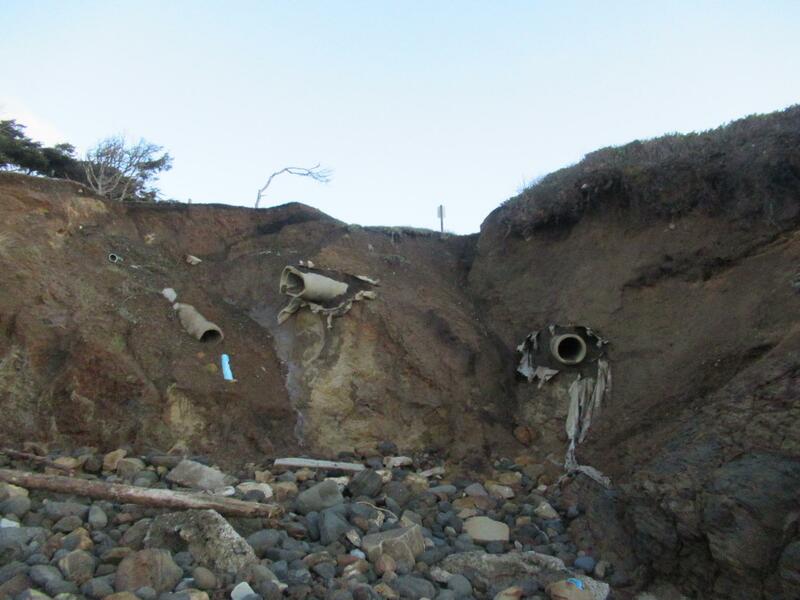 There was more erosion at the first sets of pipes compared to last quarter. 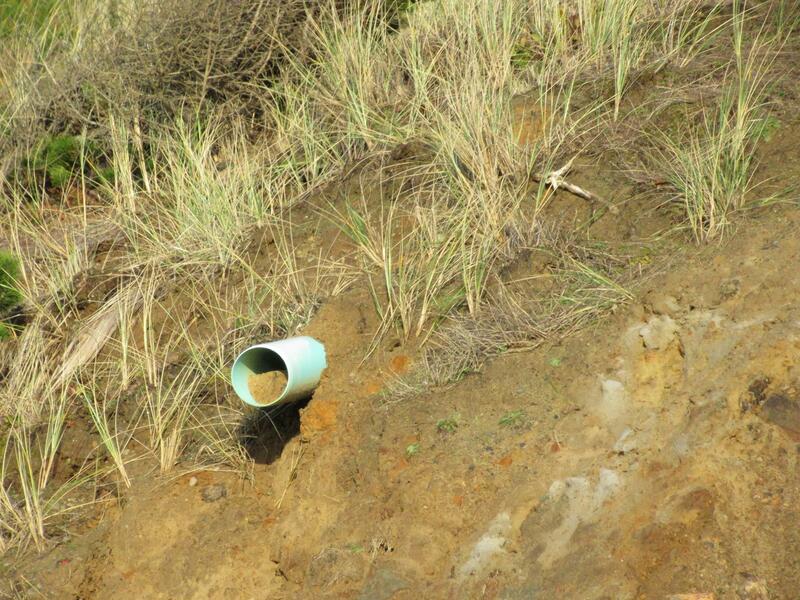 I also spotted more pipes about 100 yards further north. 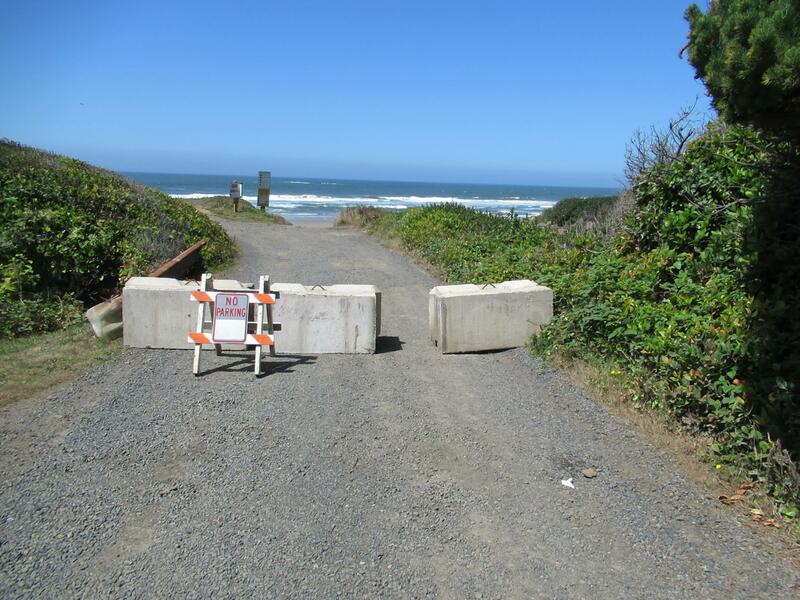 There is NOW highway concrete blocks preventing persons from going to the parking above the beach at NW 68th street. 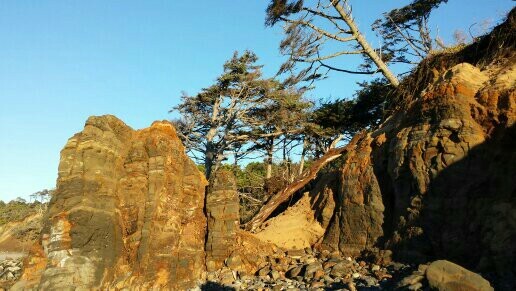 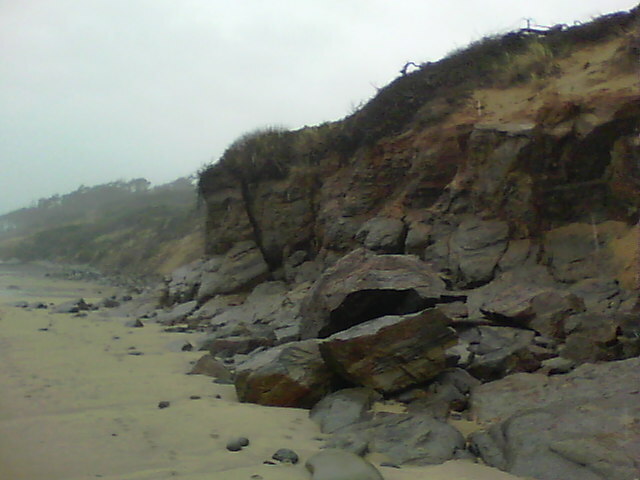 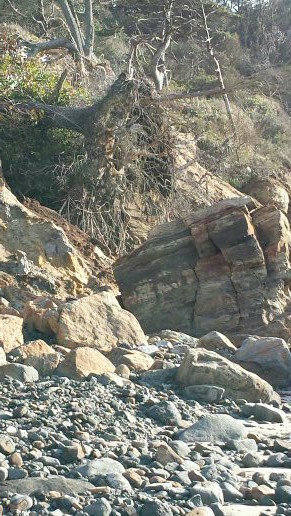 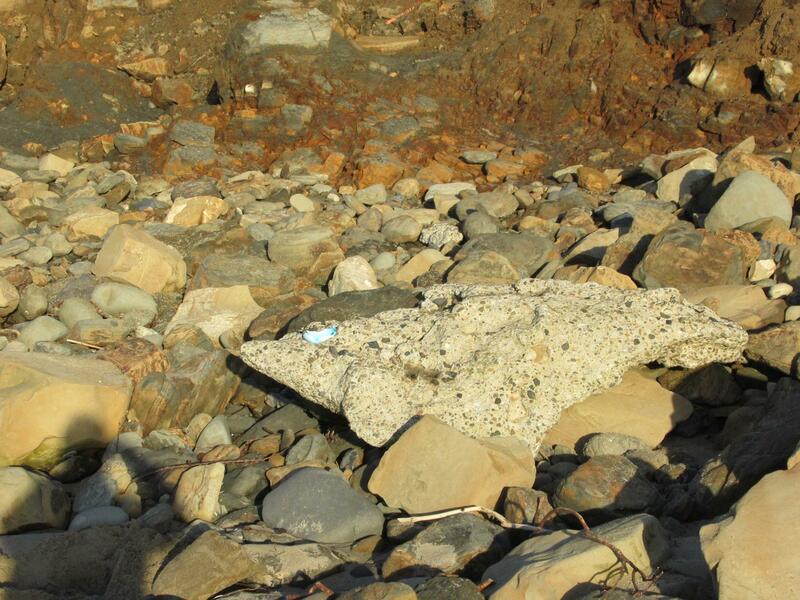 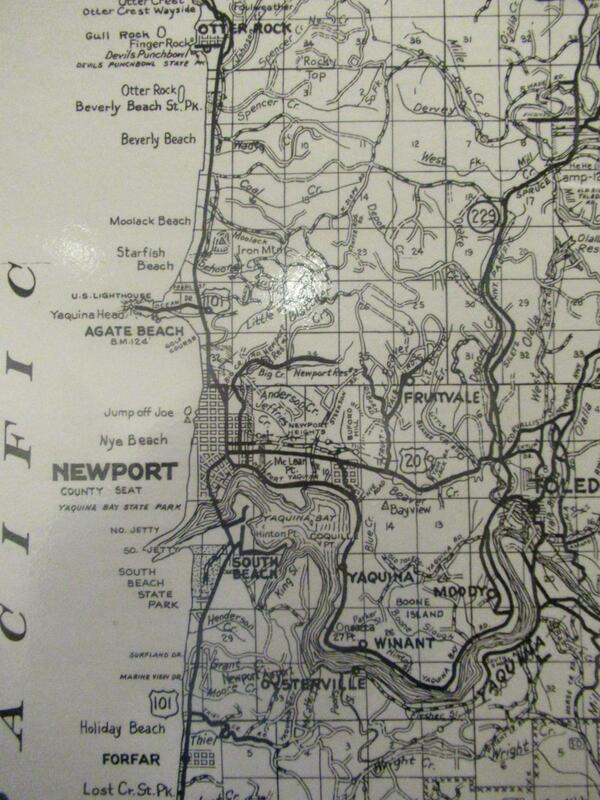 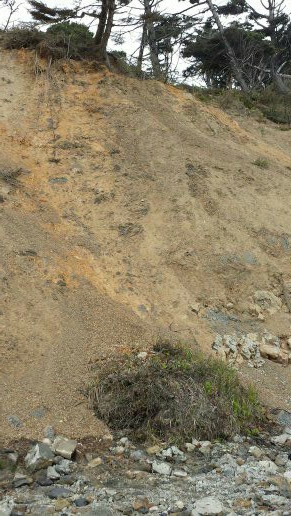 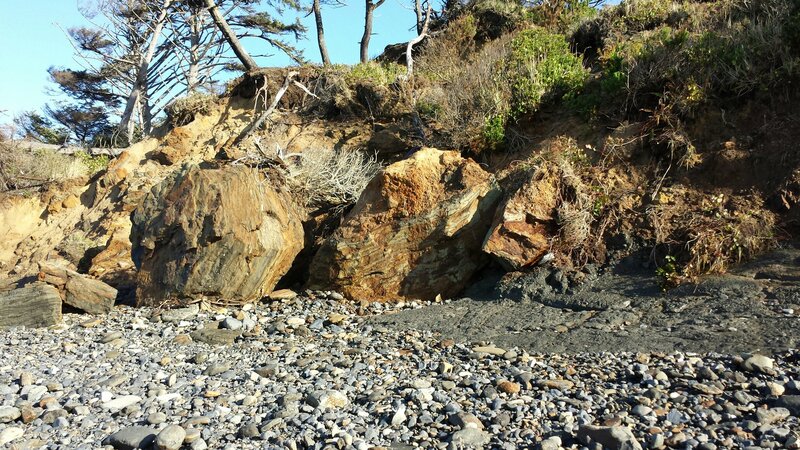 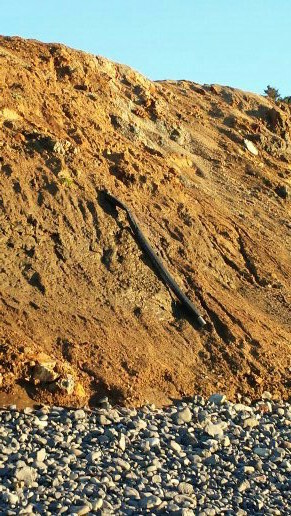 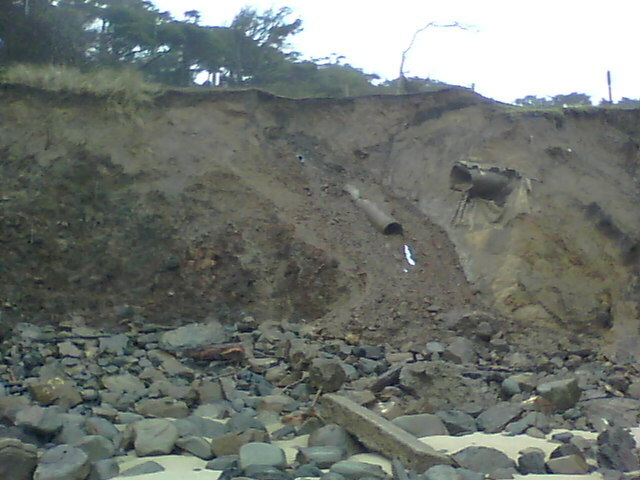 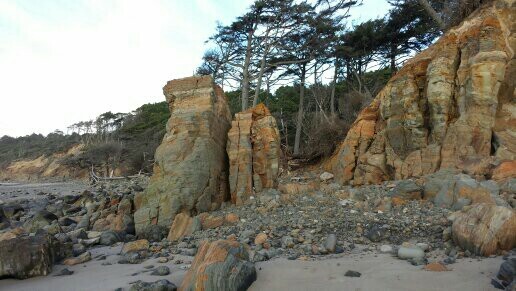 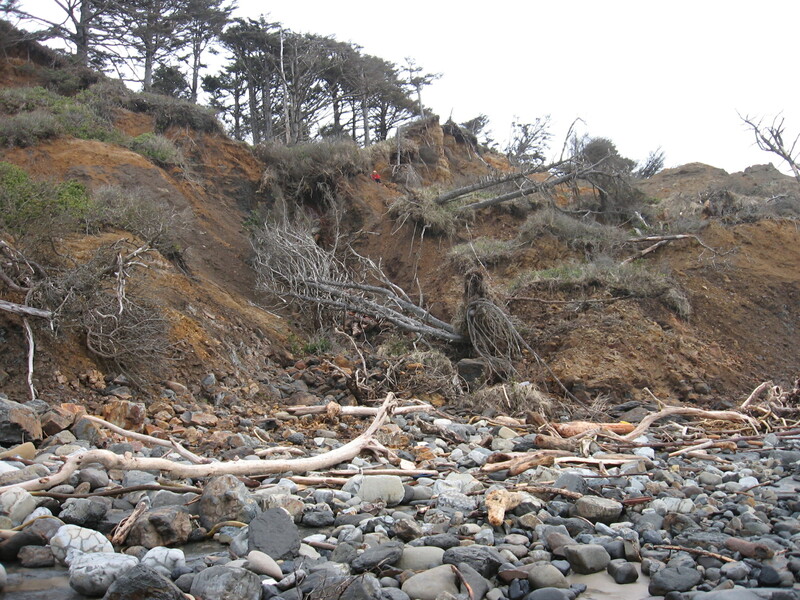 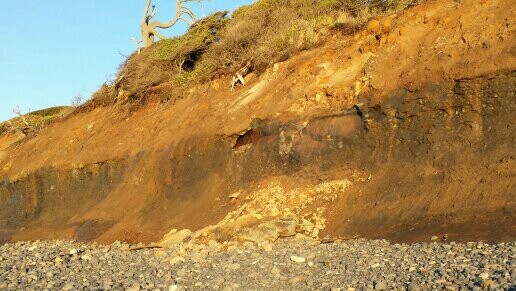 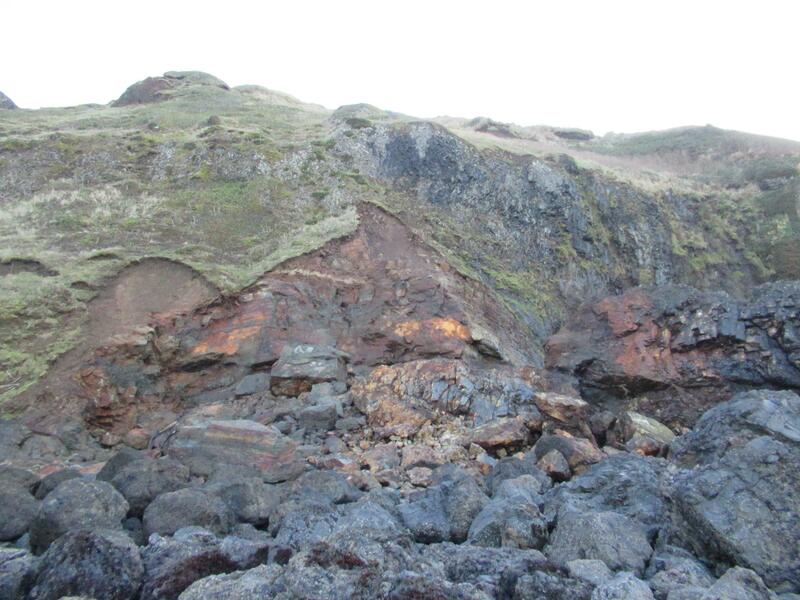 There was more erosion in the Yaquina Cliff. 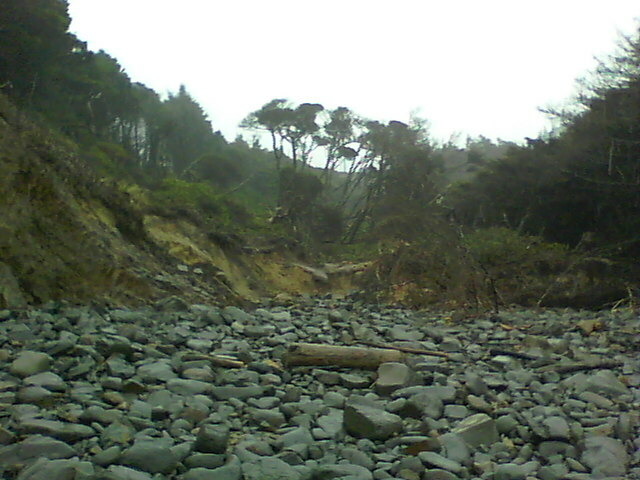 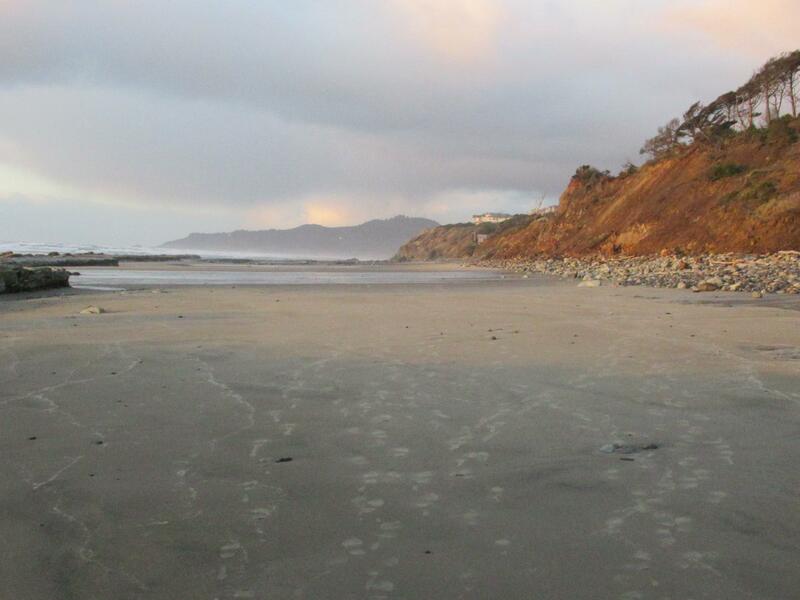 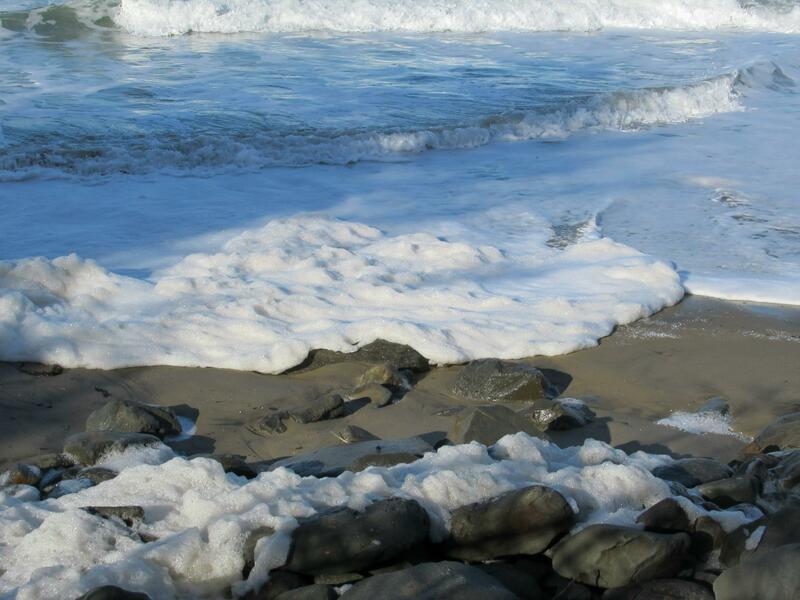 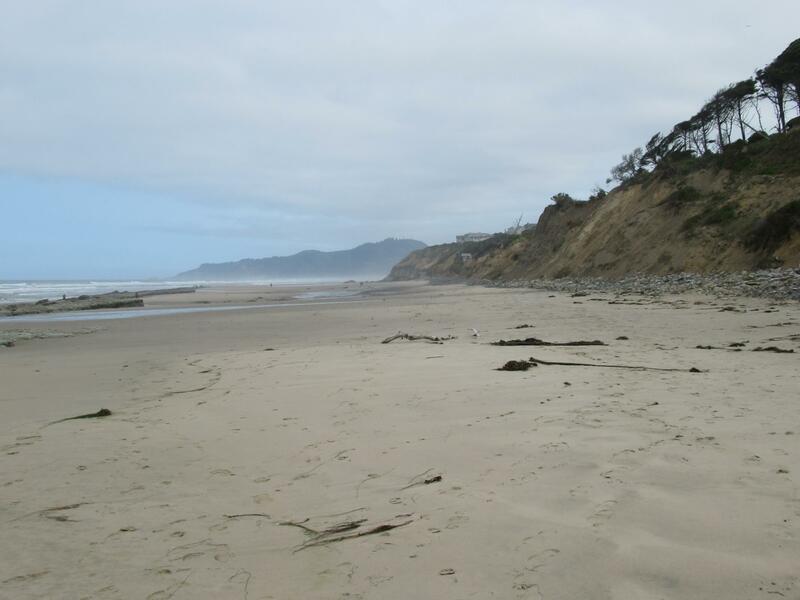 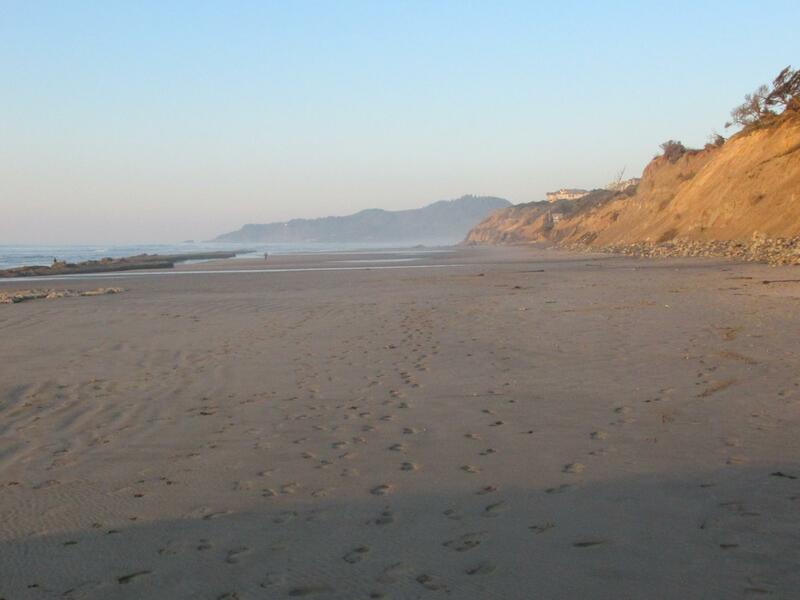 The beach is continuing to fill with more sand. 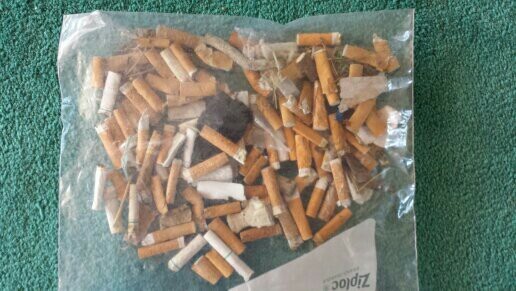 The prevention of cars going to the NW 68th street parking is probably reducing the amount of plastic/trash. 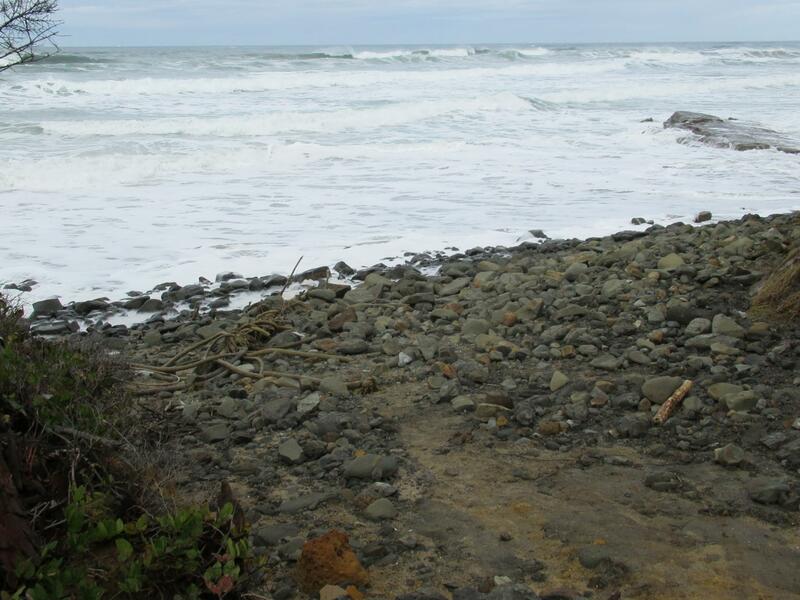 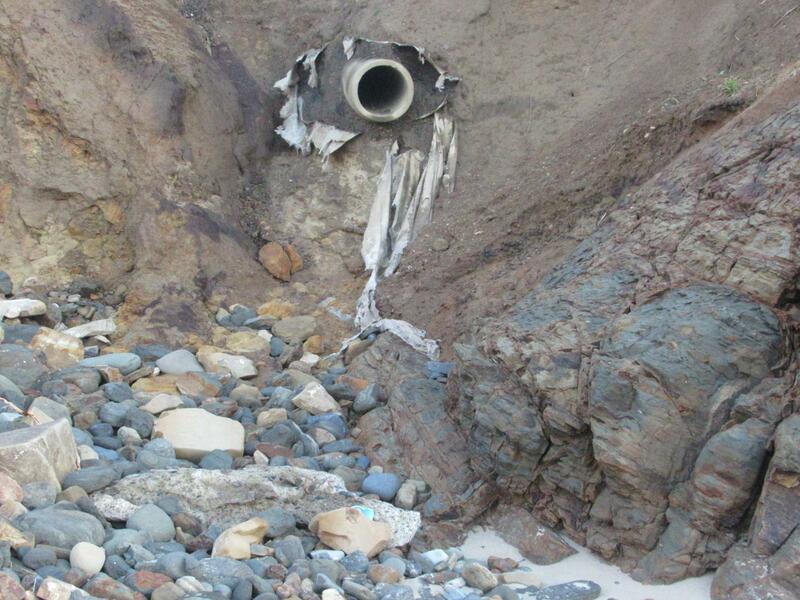 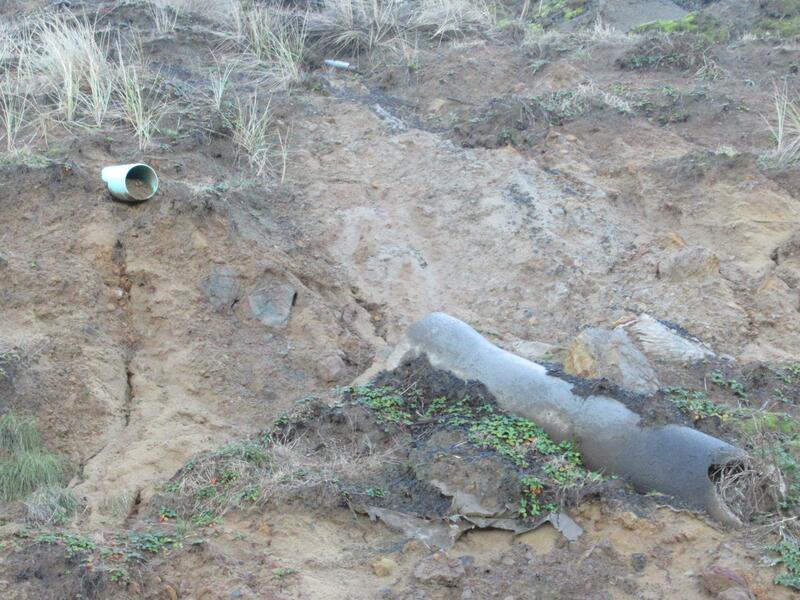 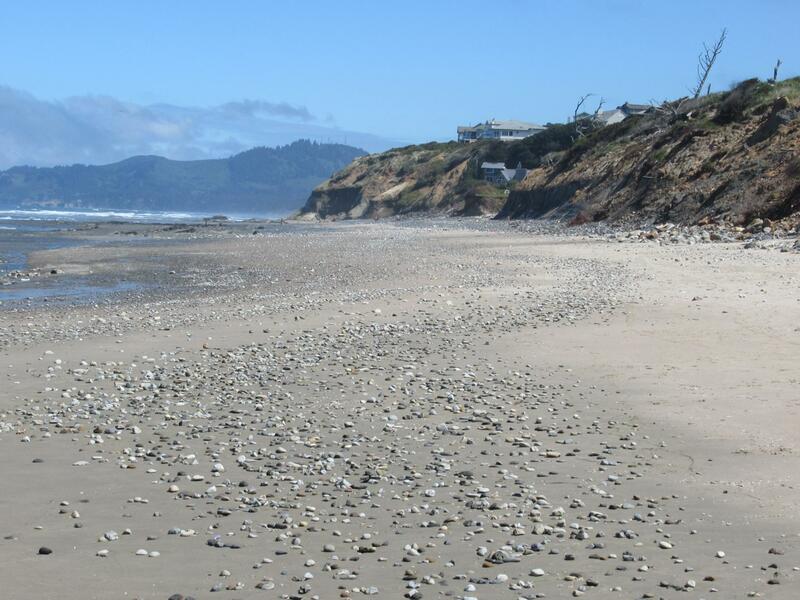 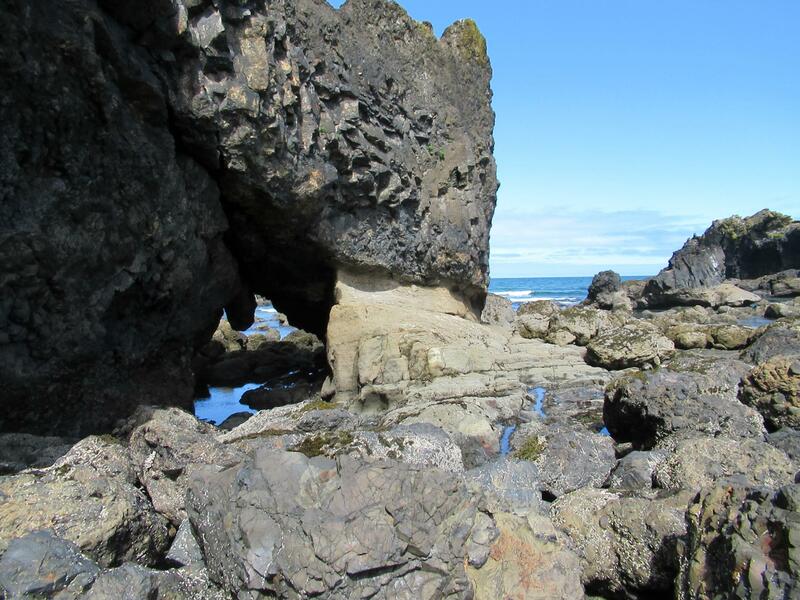 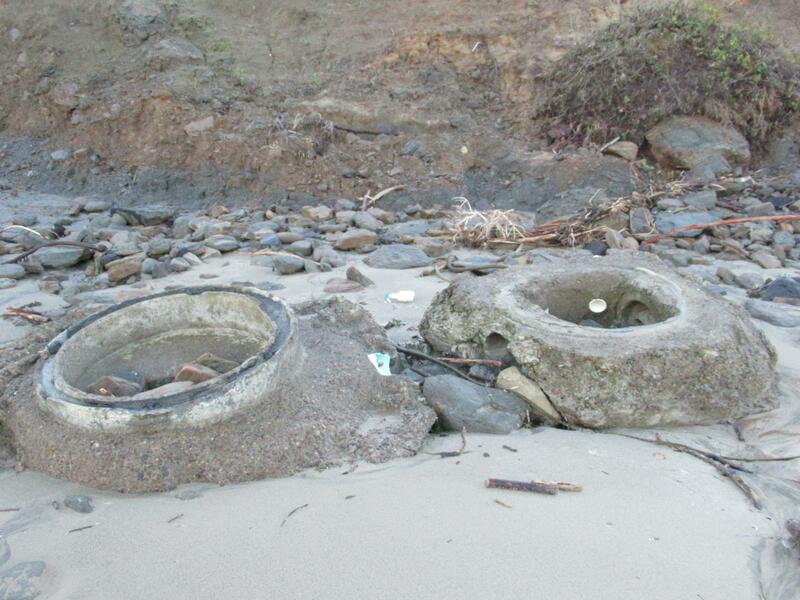 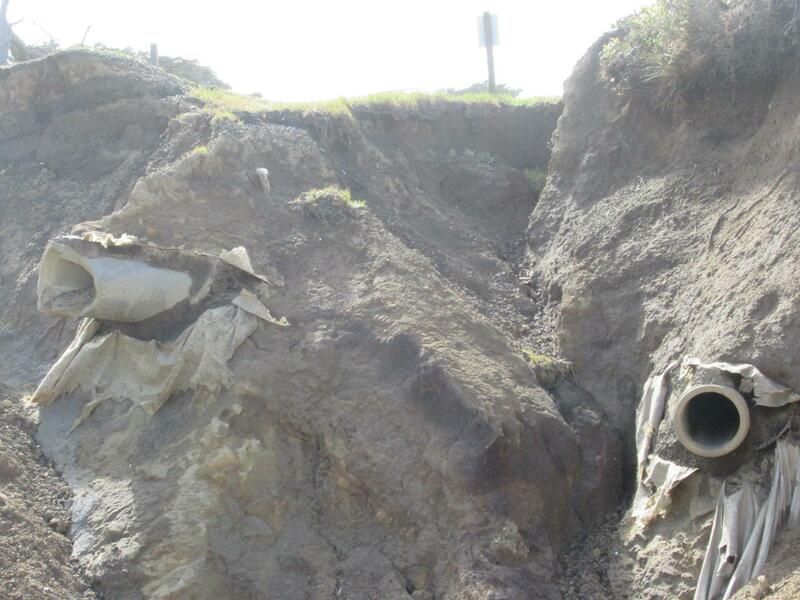 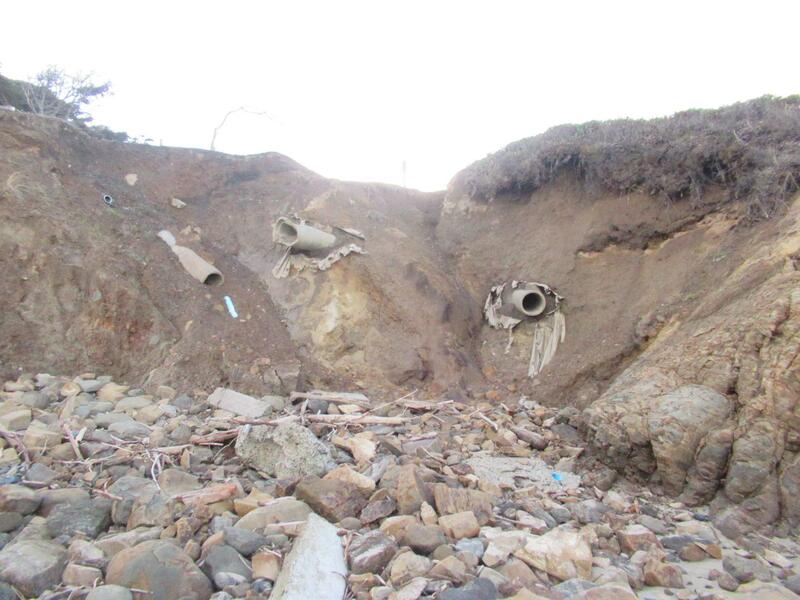 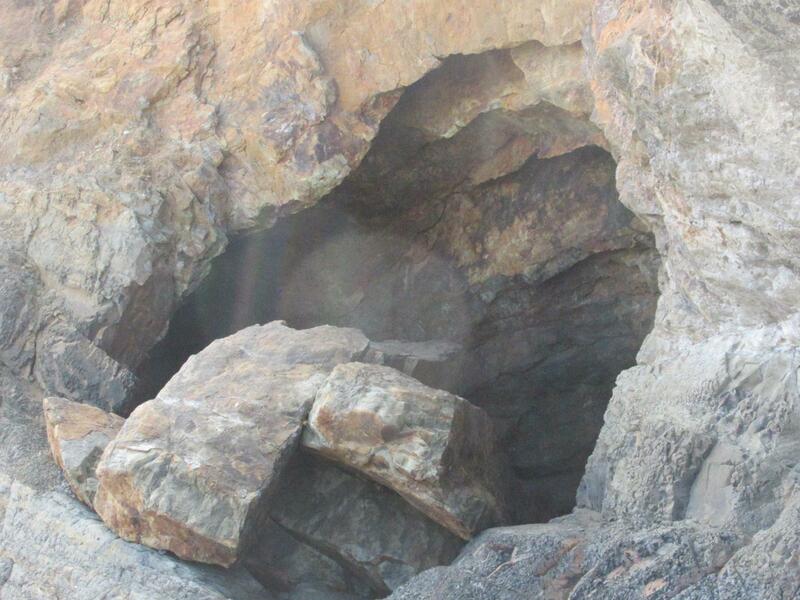 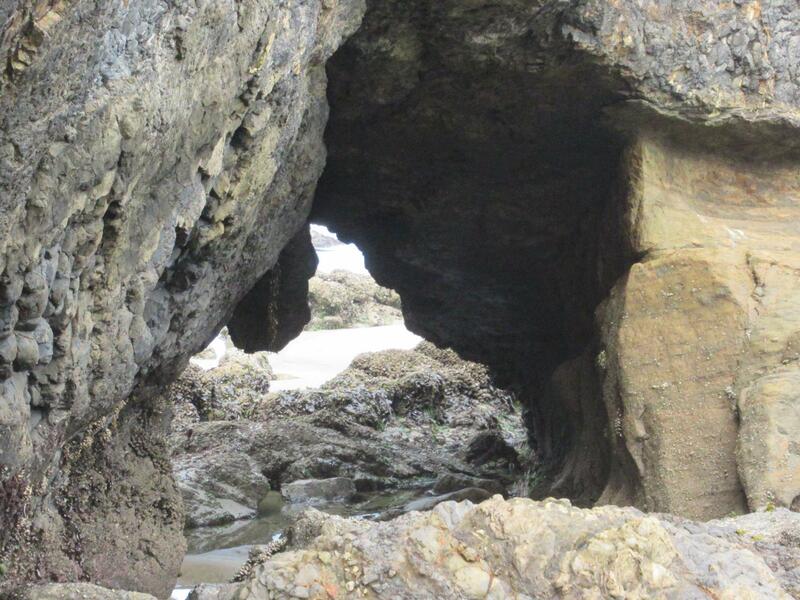 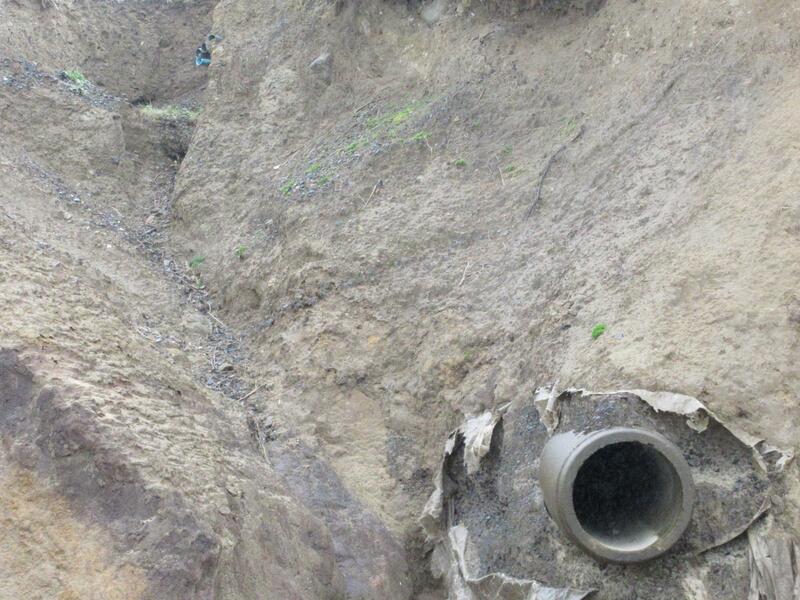 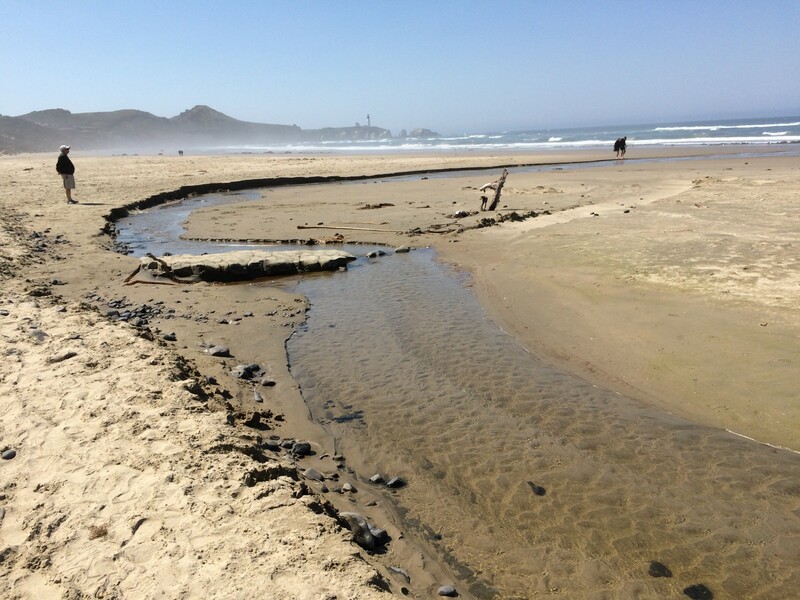 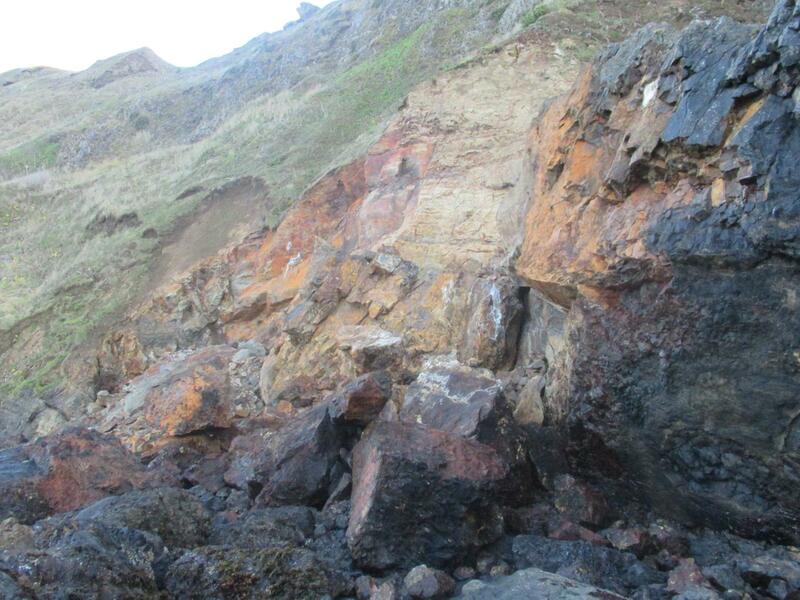 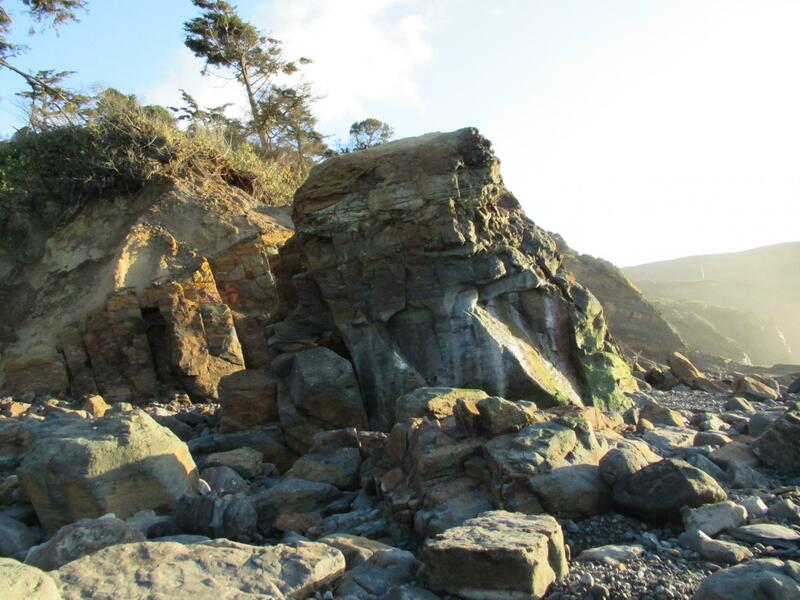 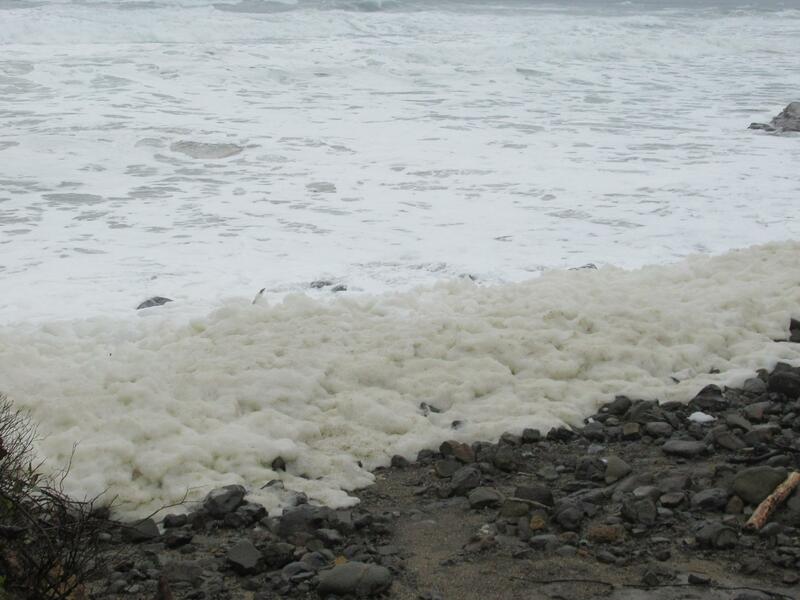 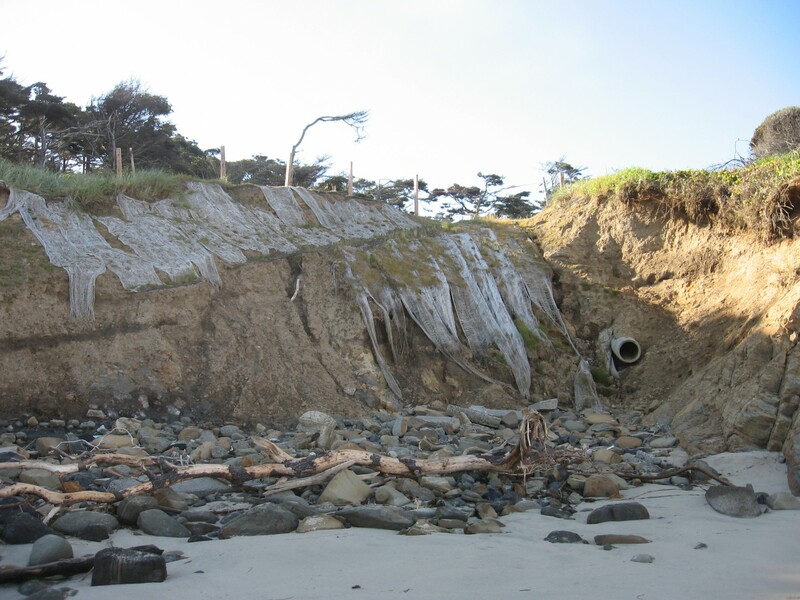 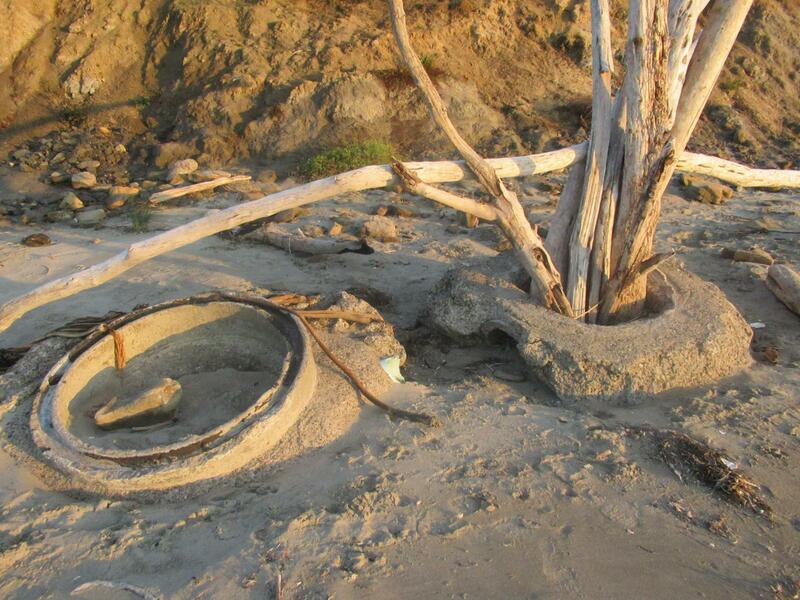 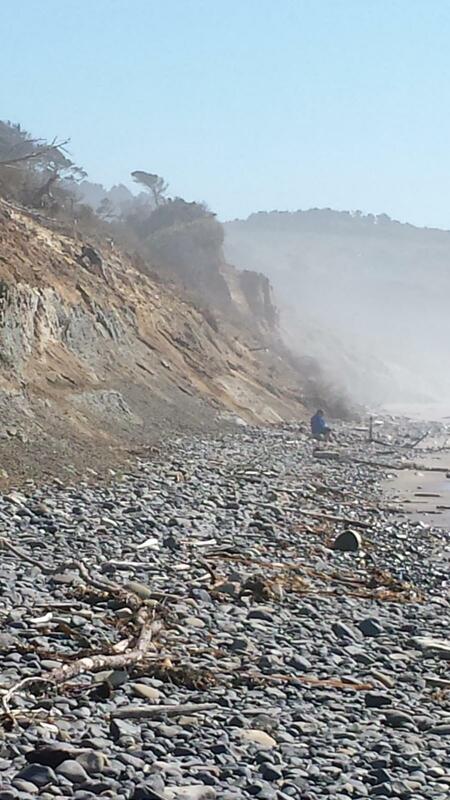 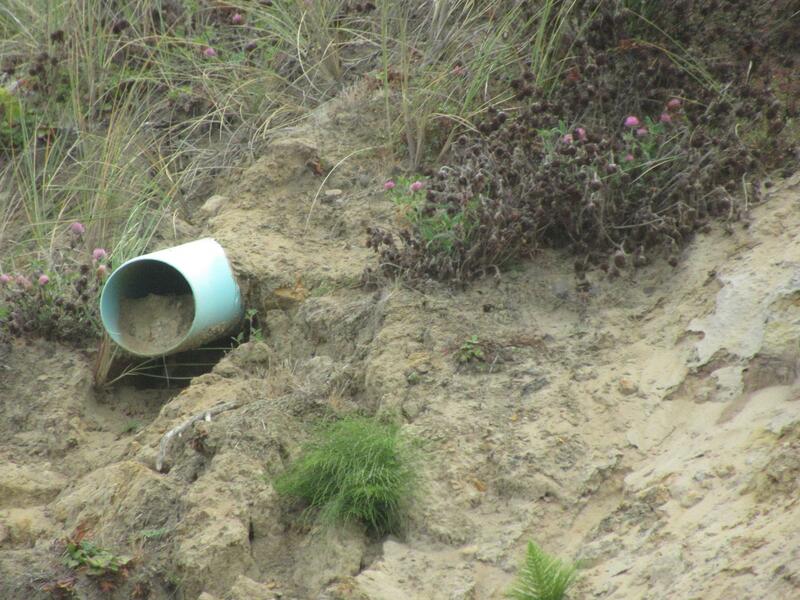 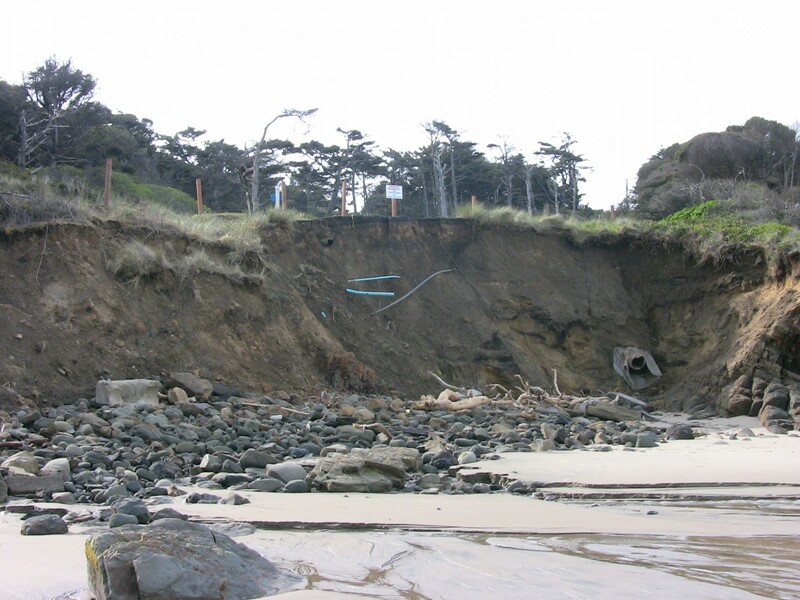 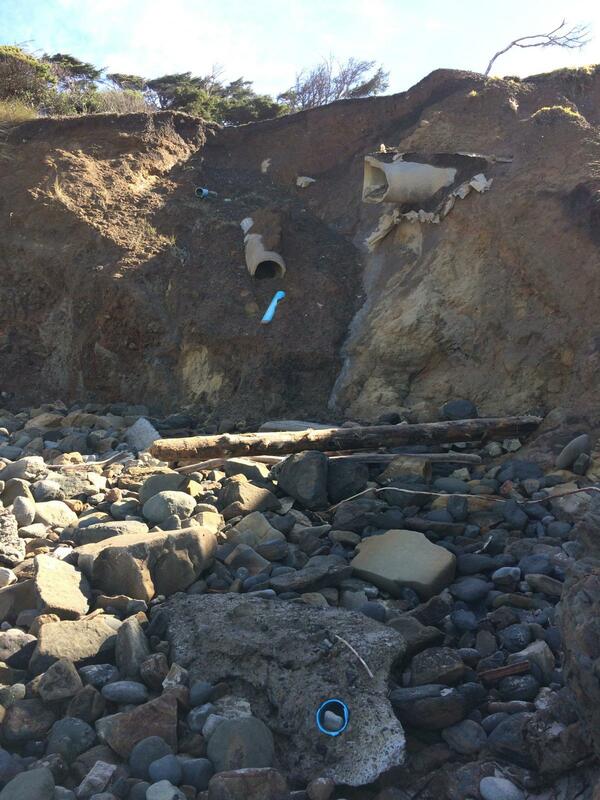 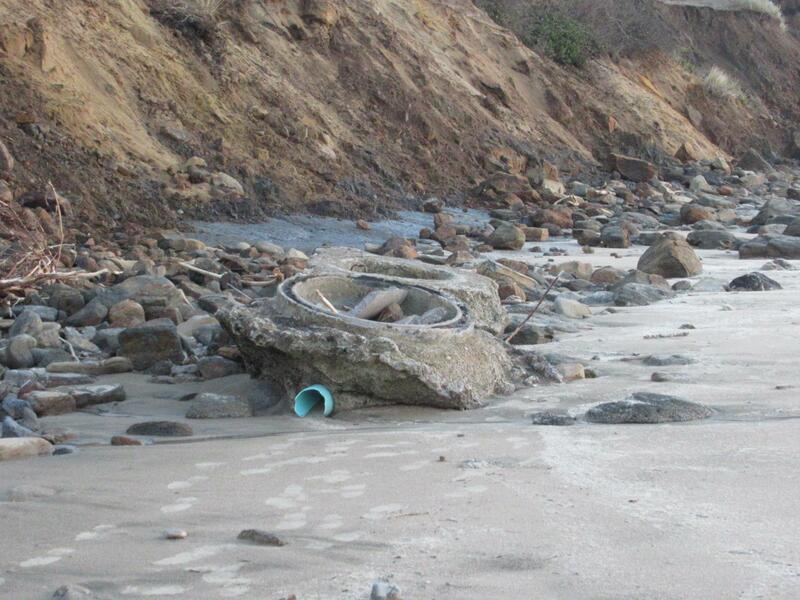 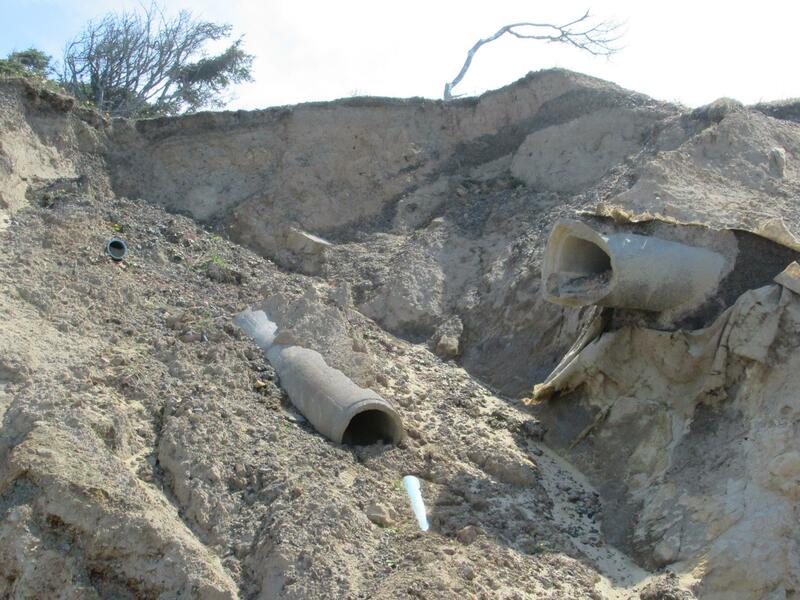 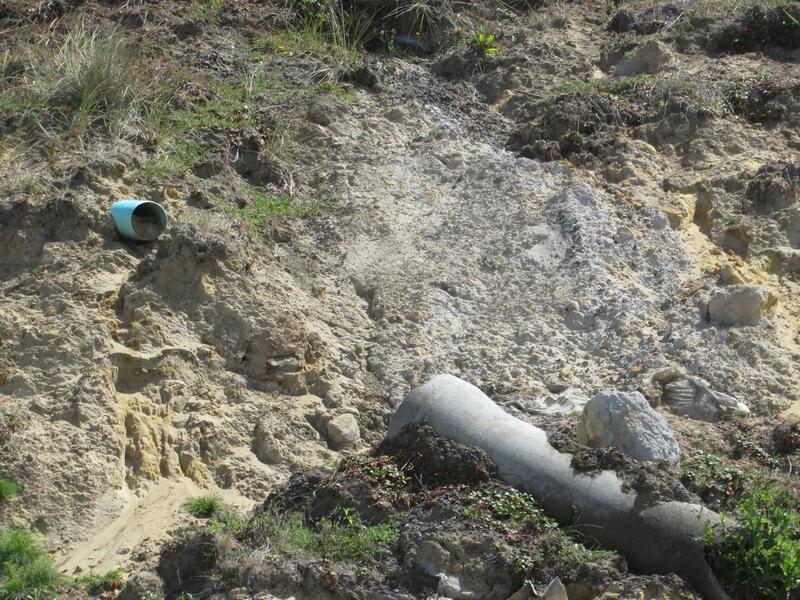 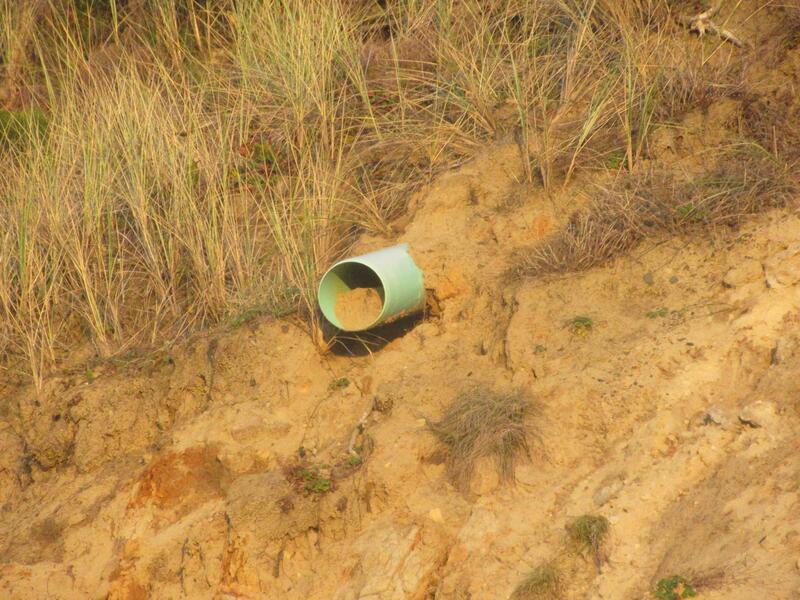 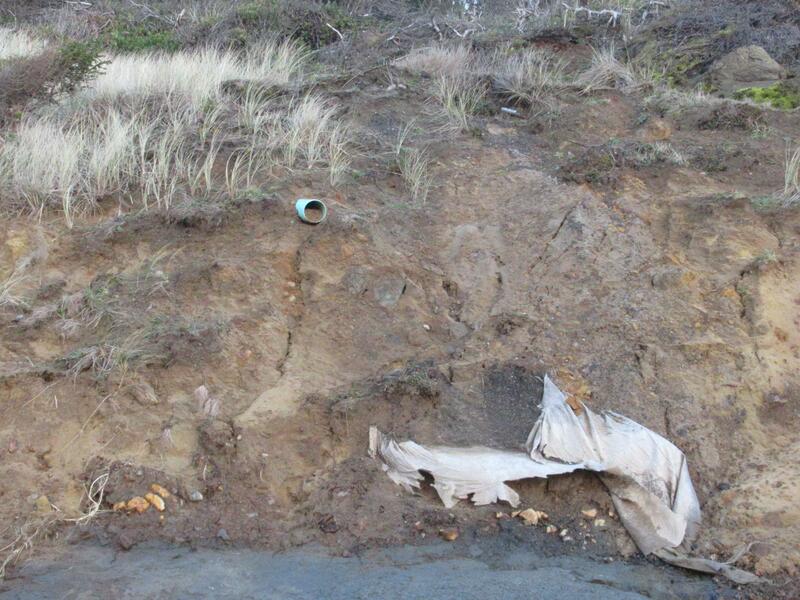 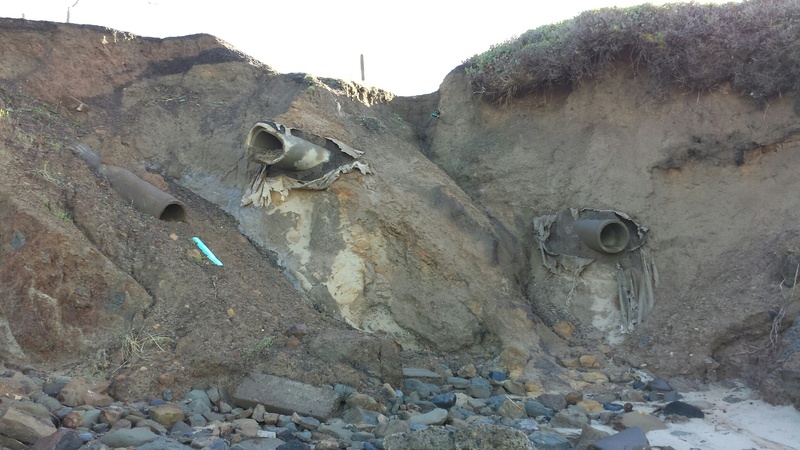 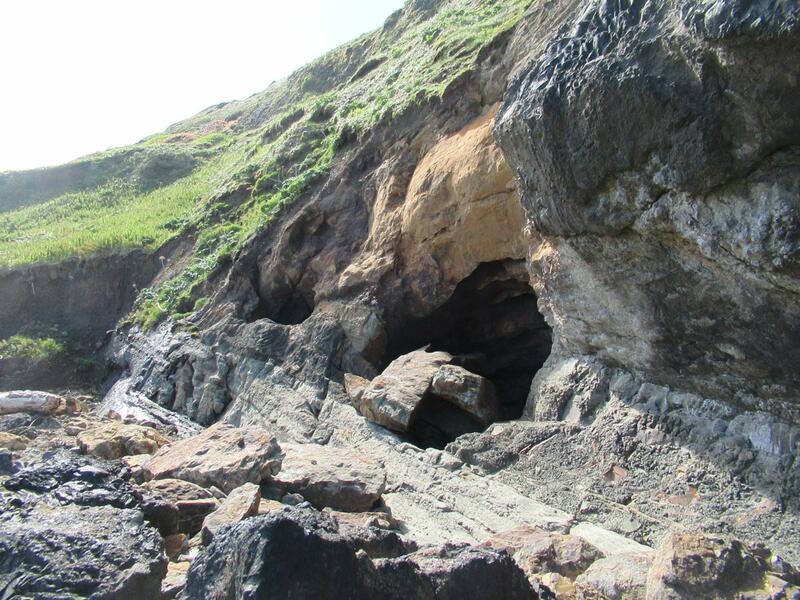 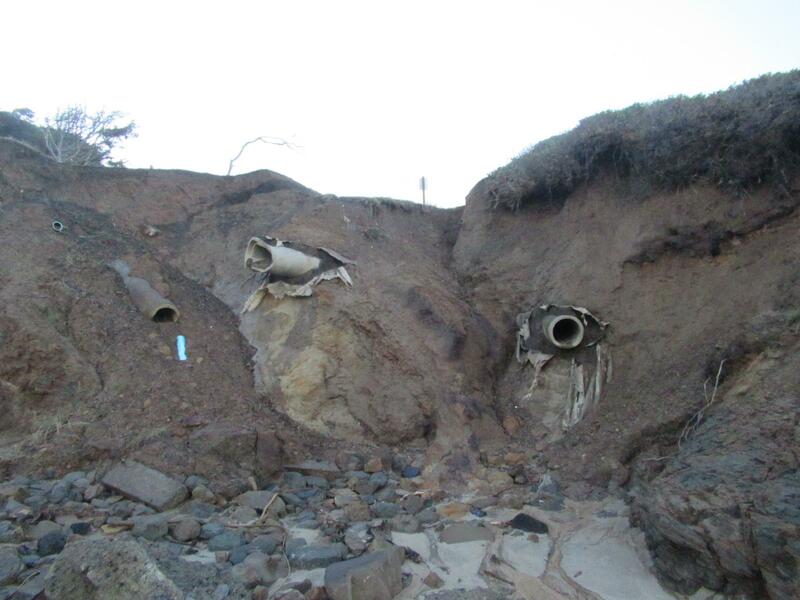 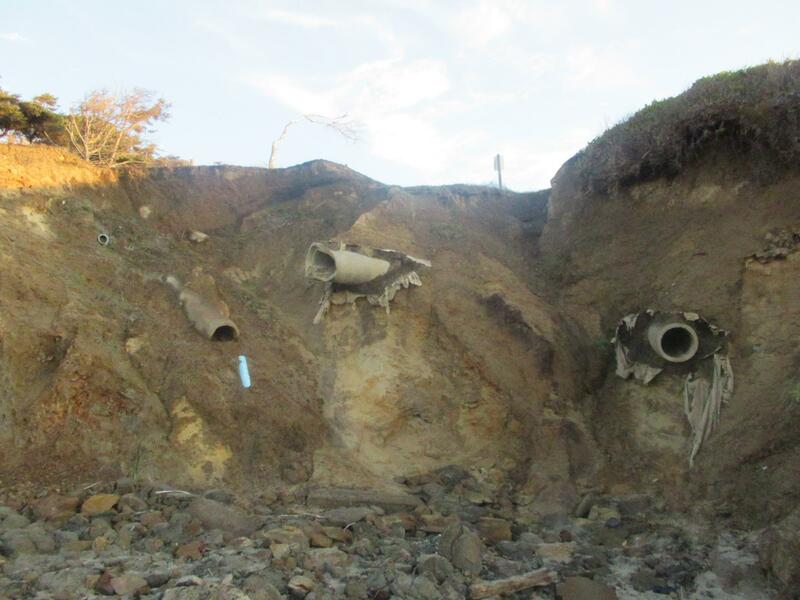 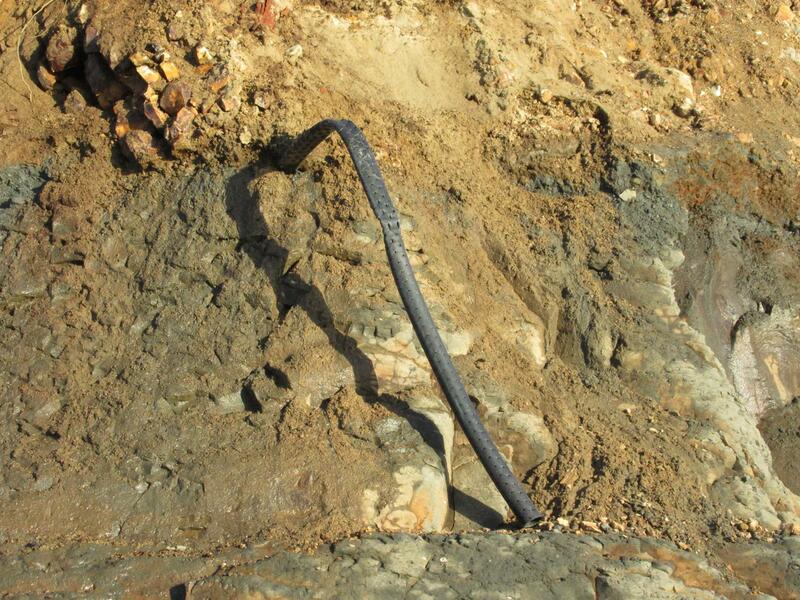 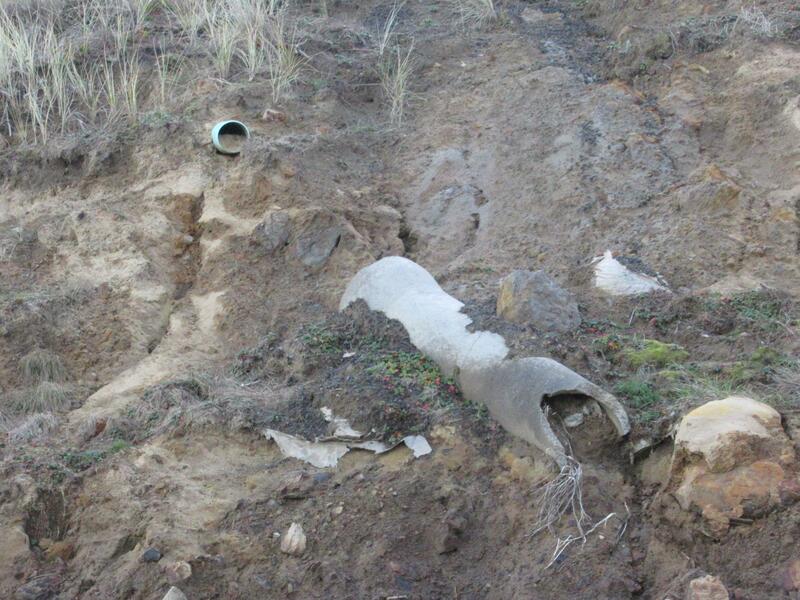 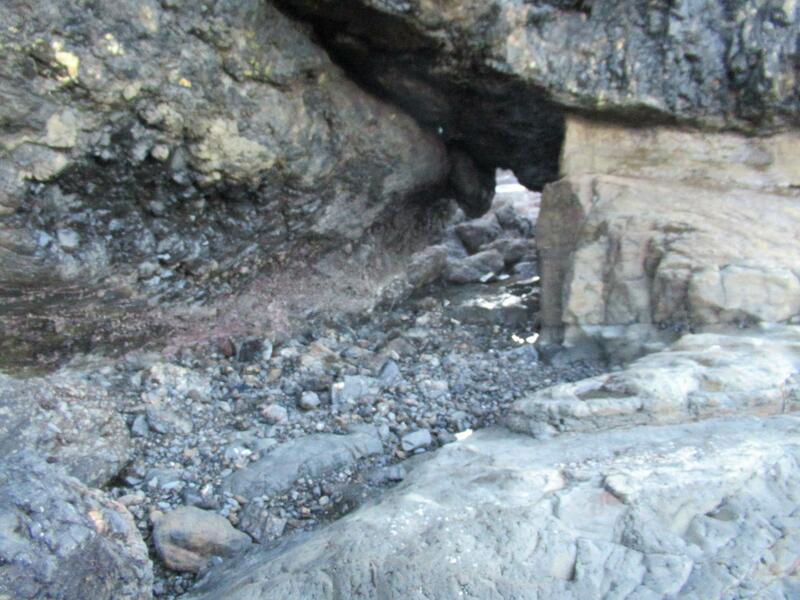 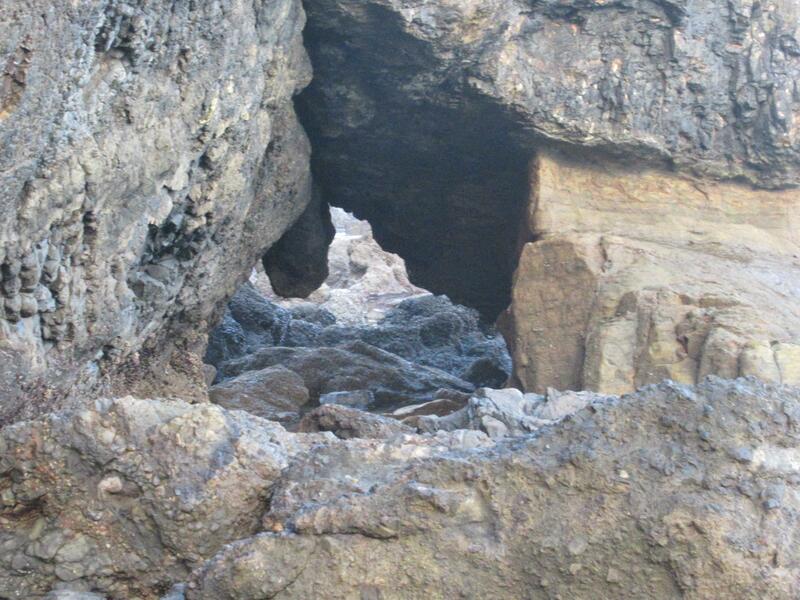 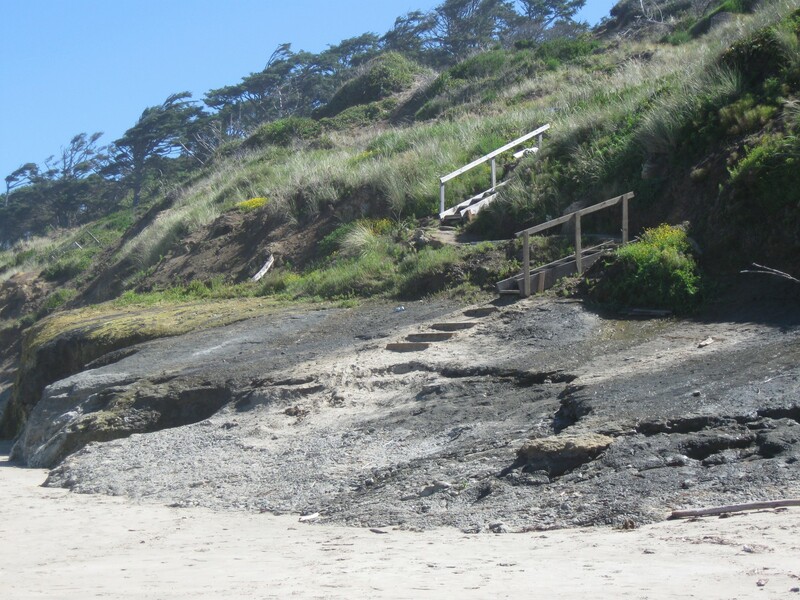 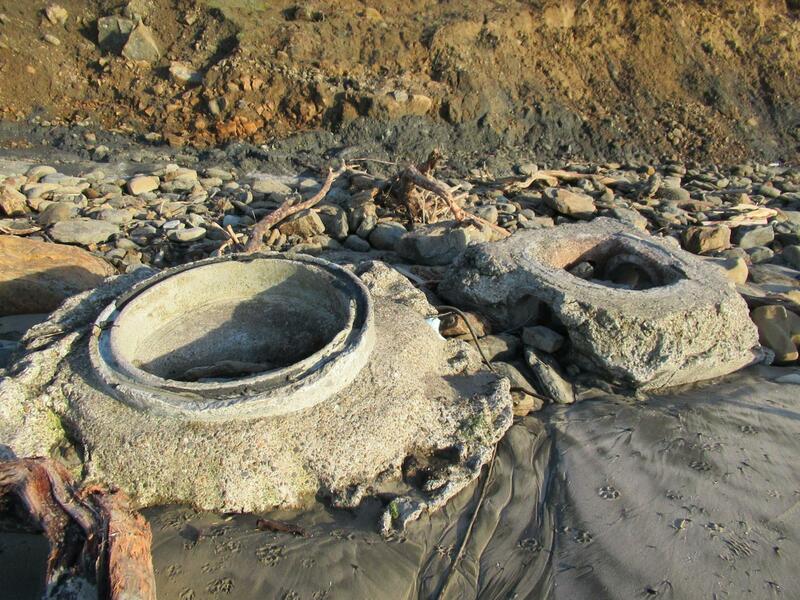 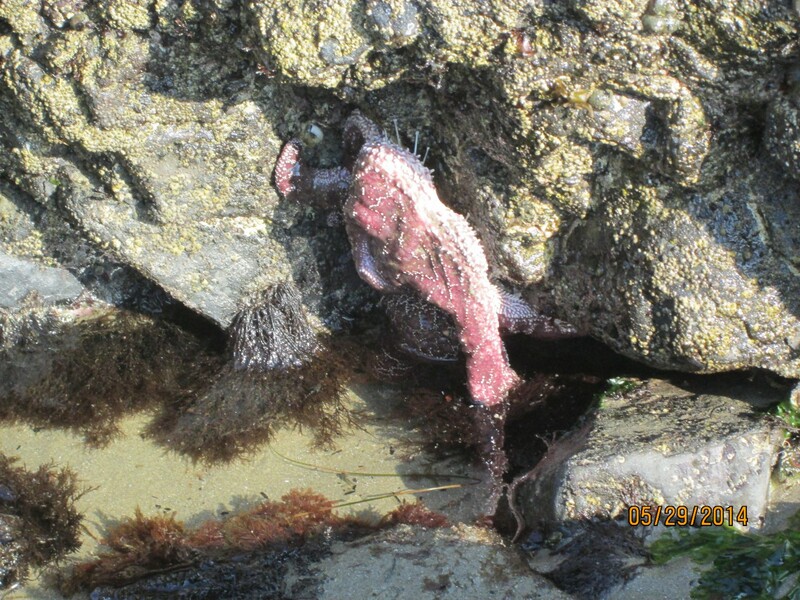 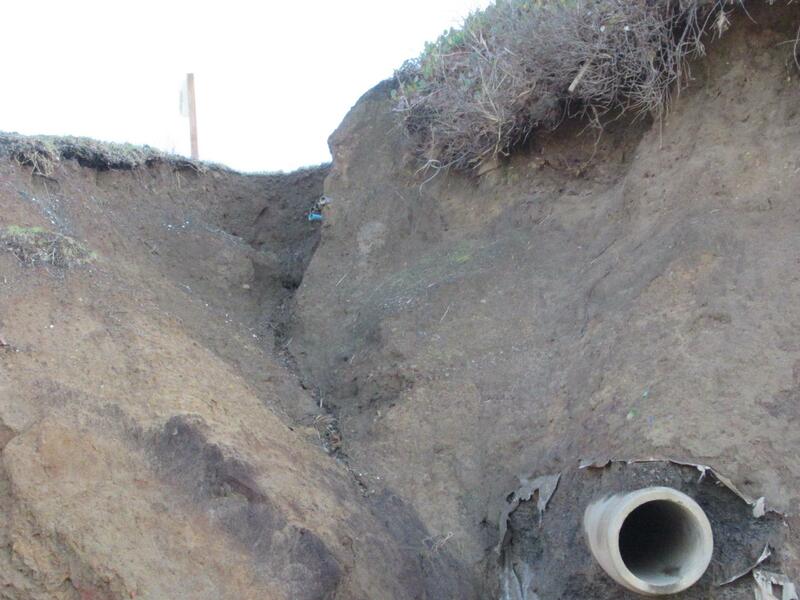 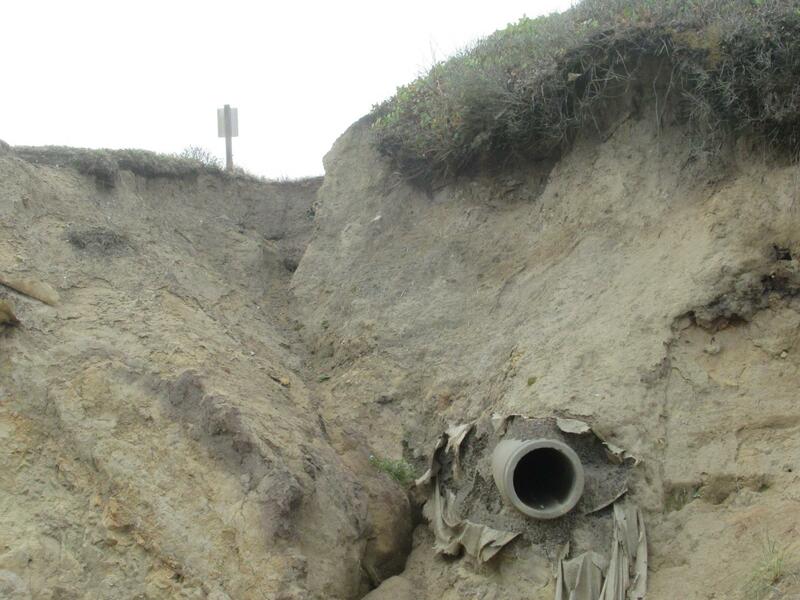 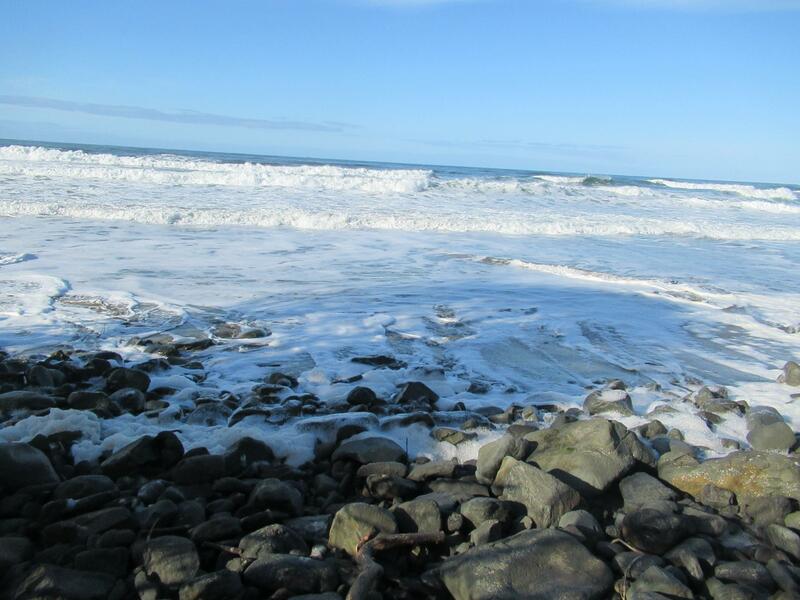 Although it is summer, erosion continues at Yaquina Head cliff and exposing pipes. 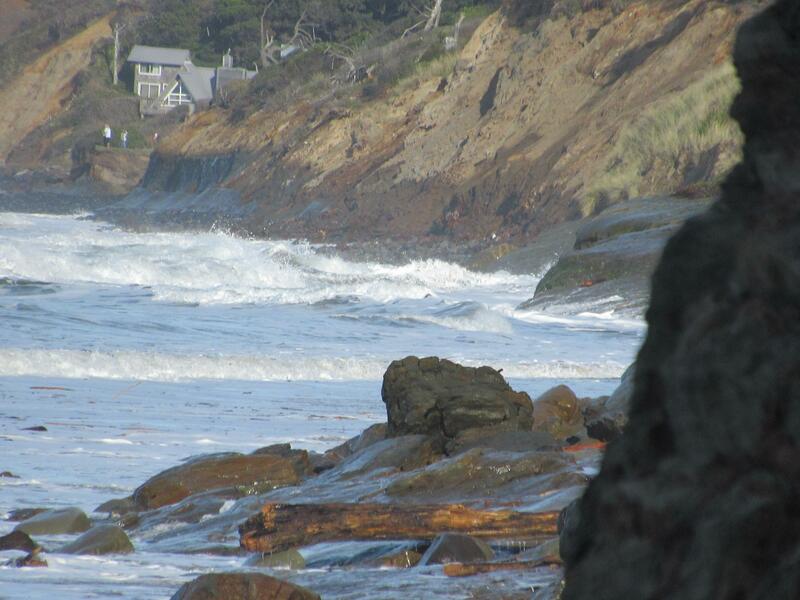 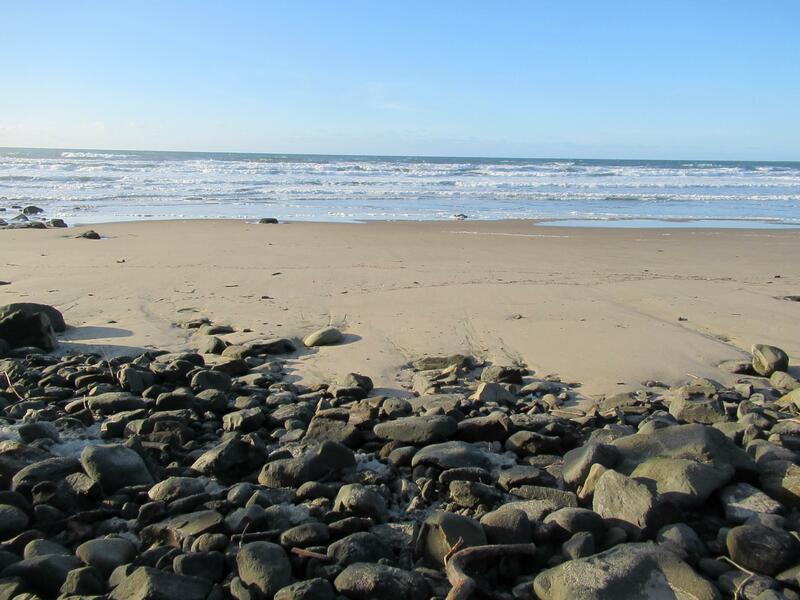 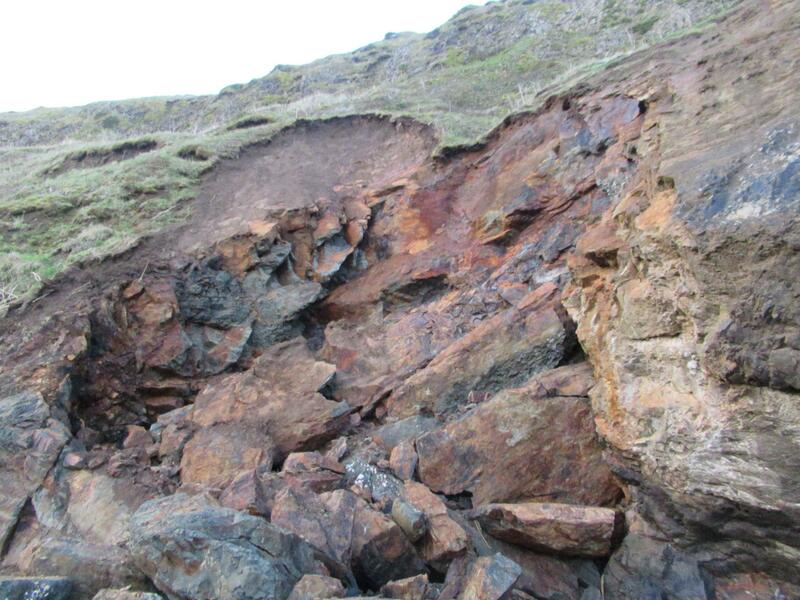 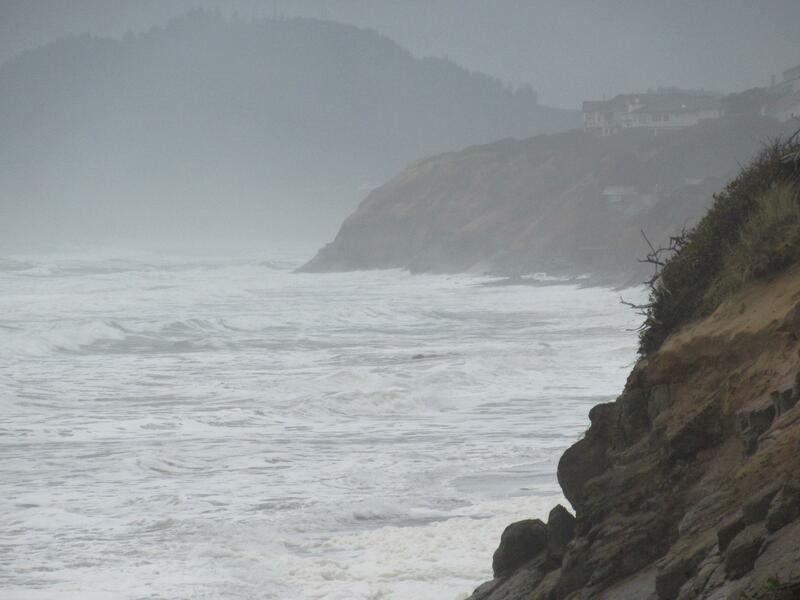 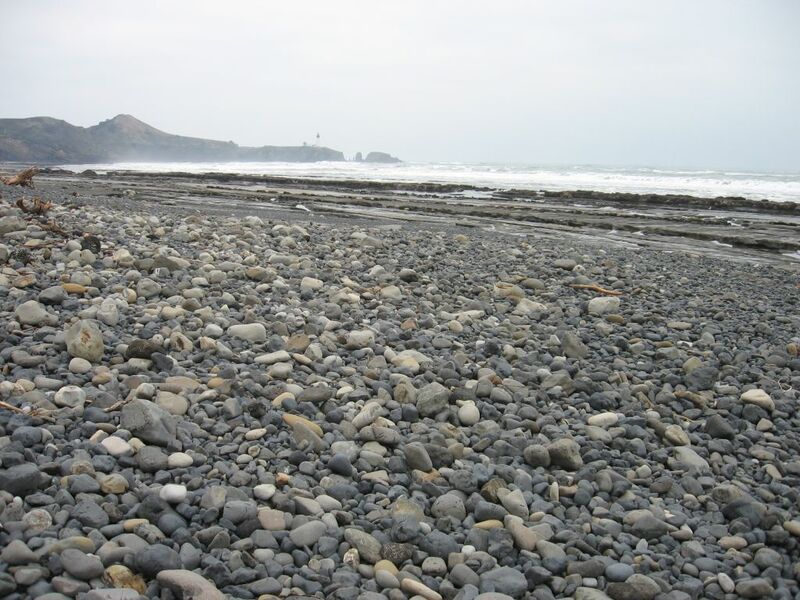 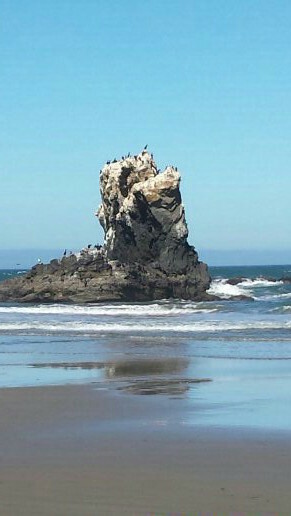 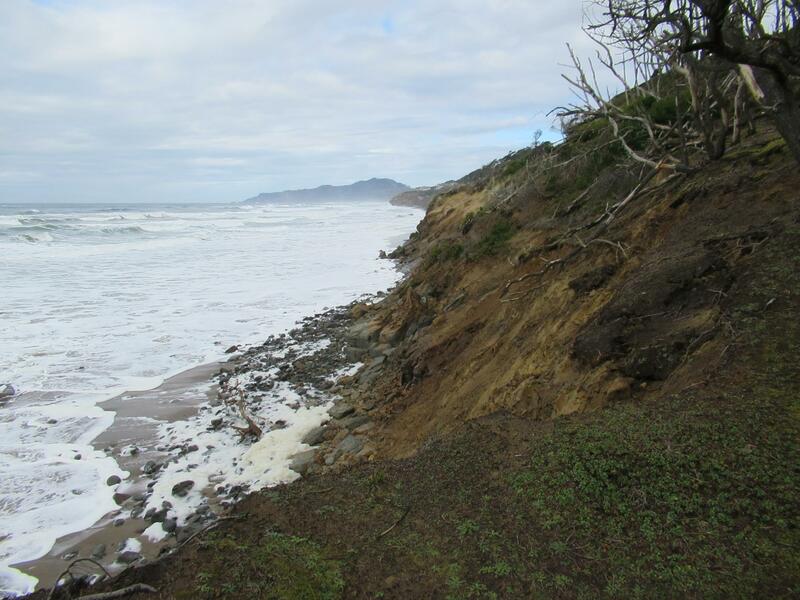 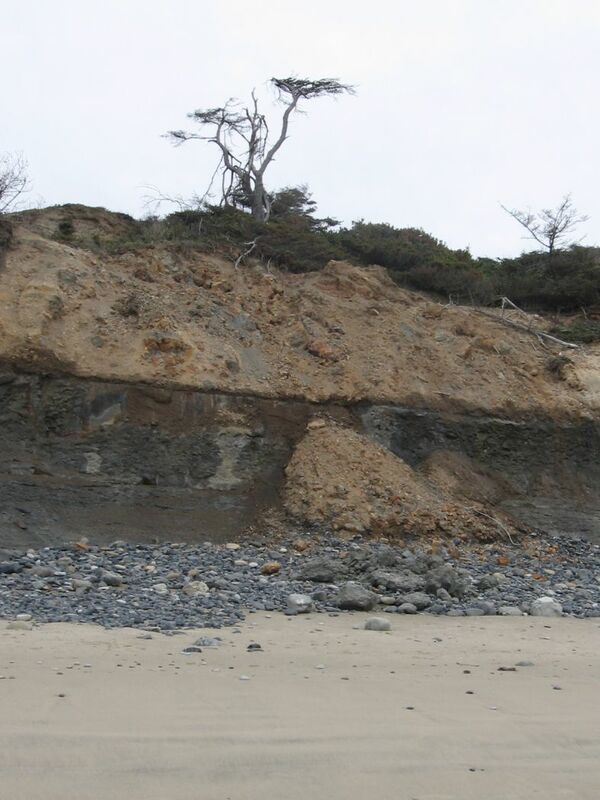 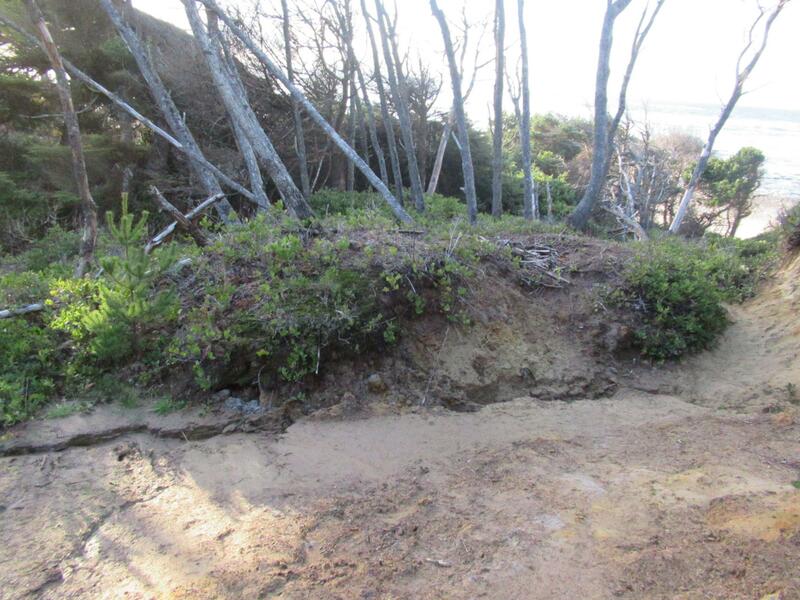 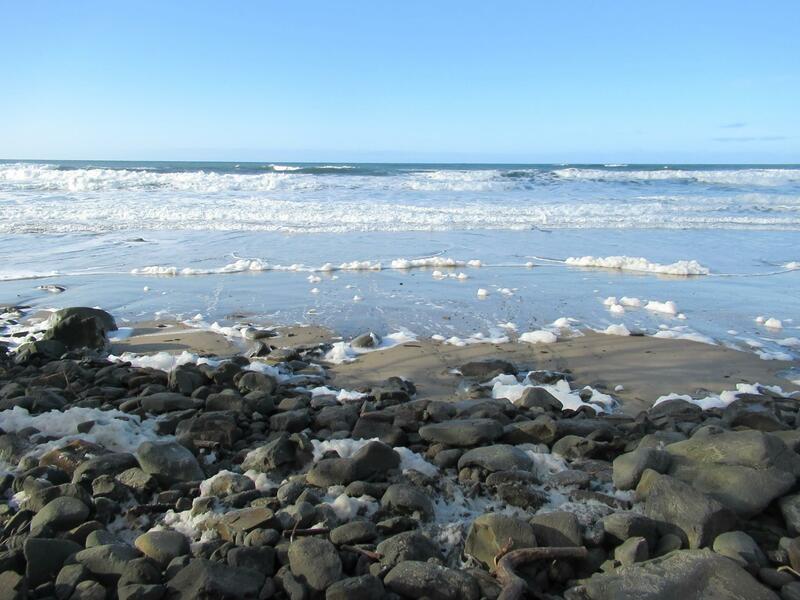 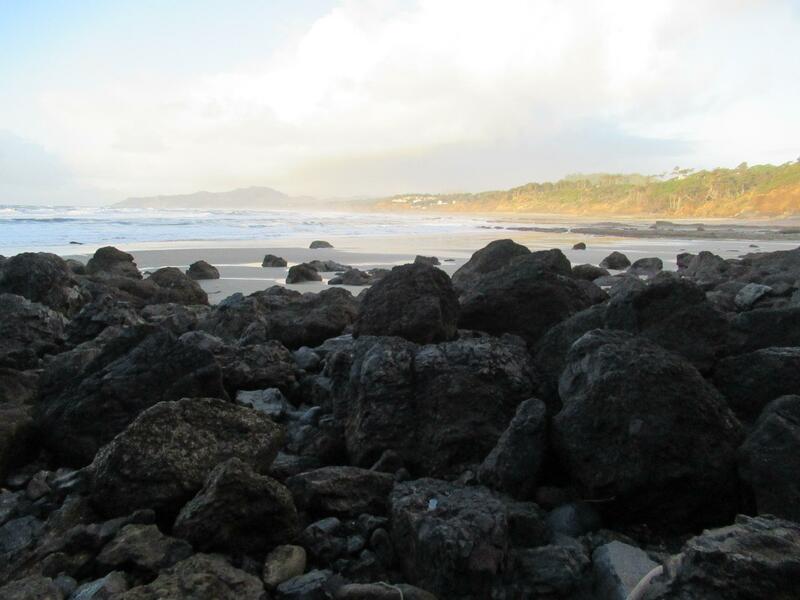 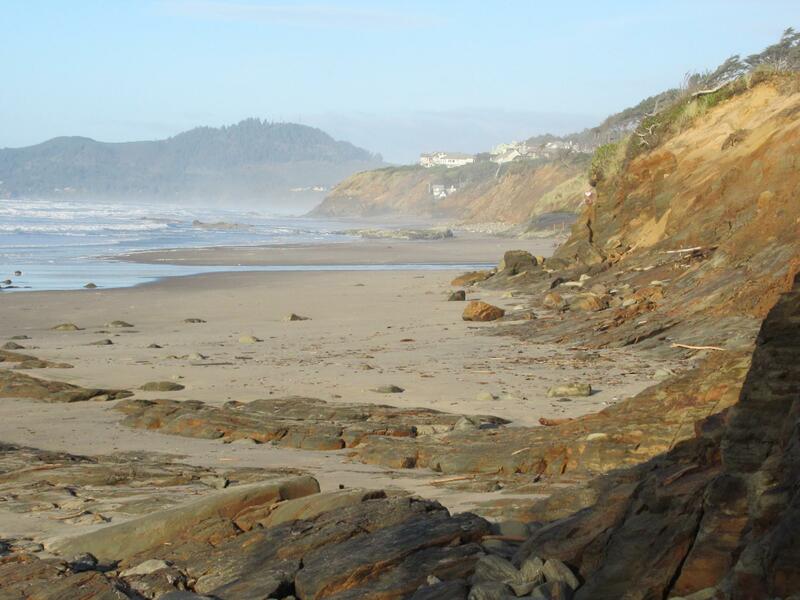 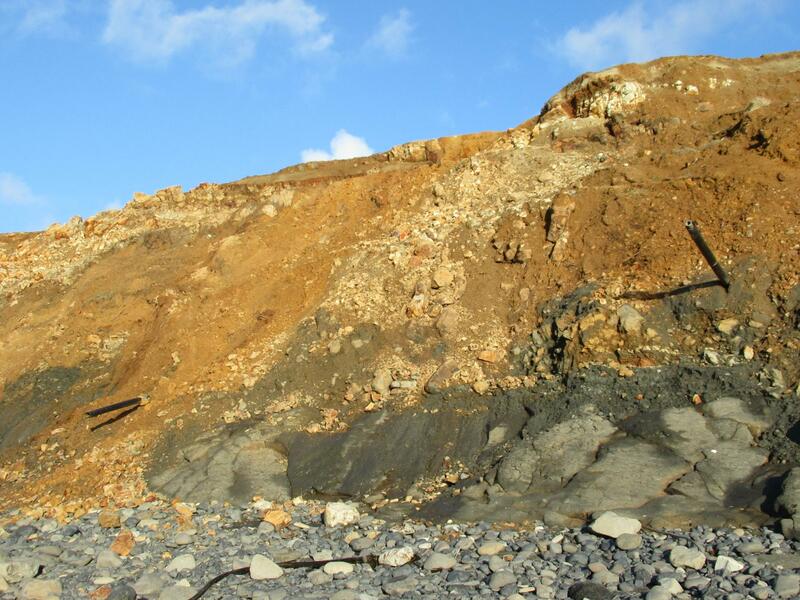 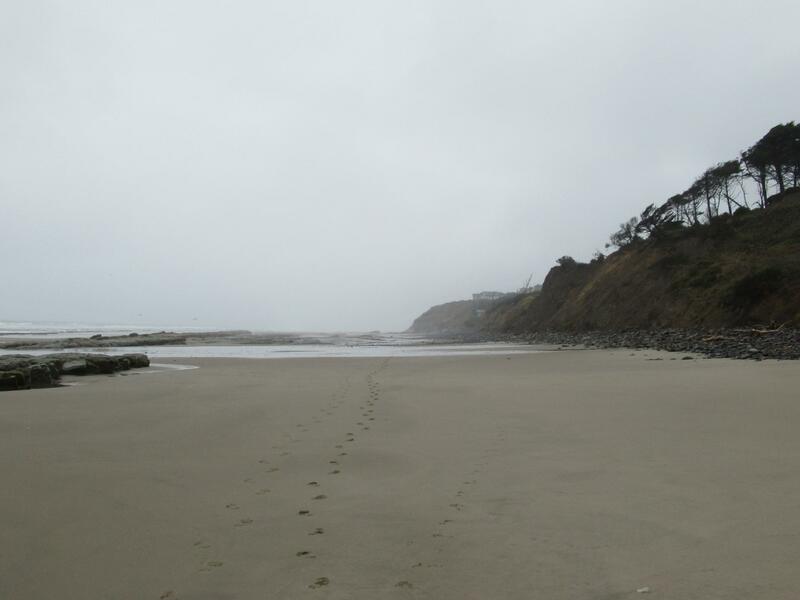 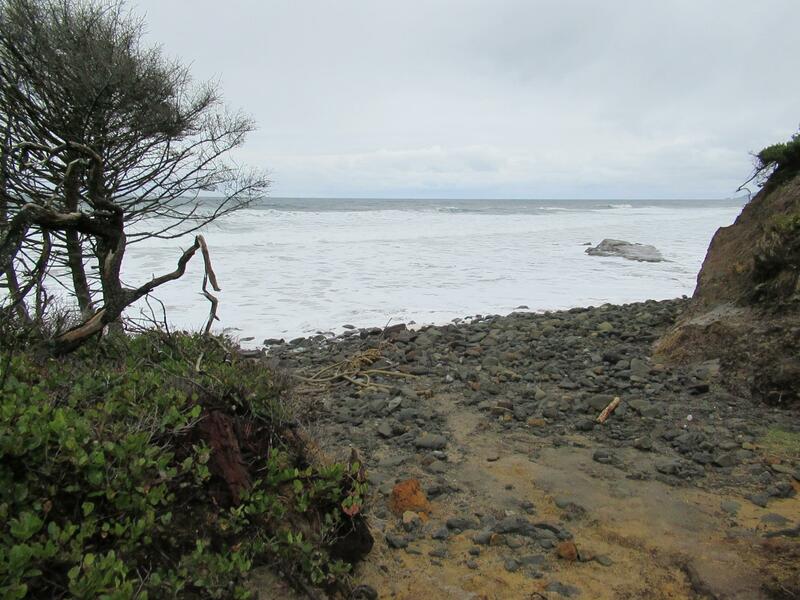 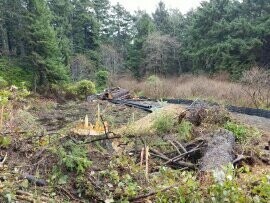 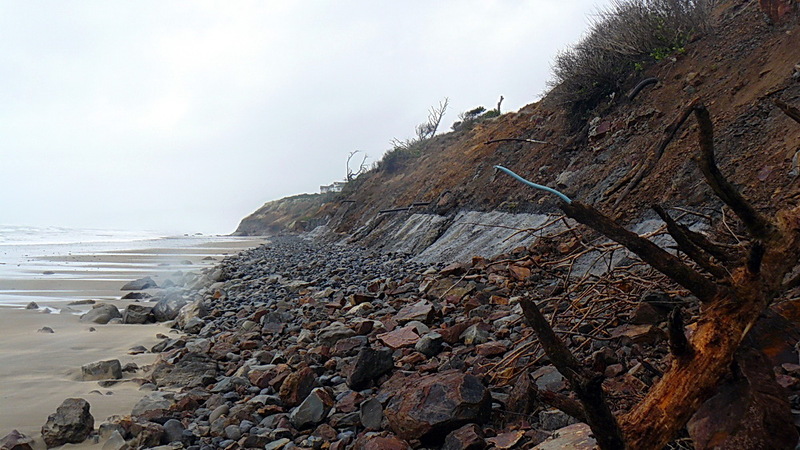 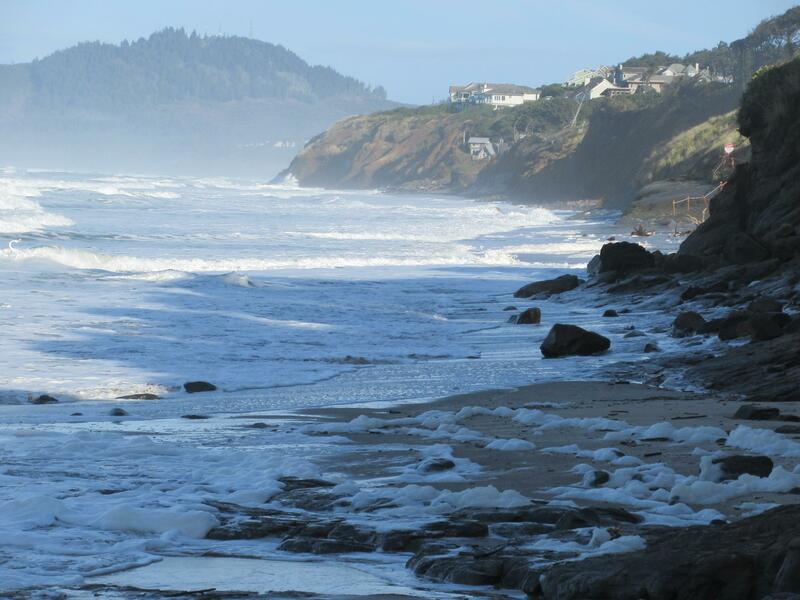 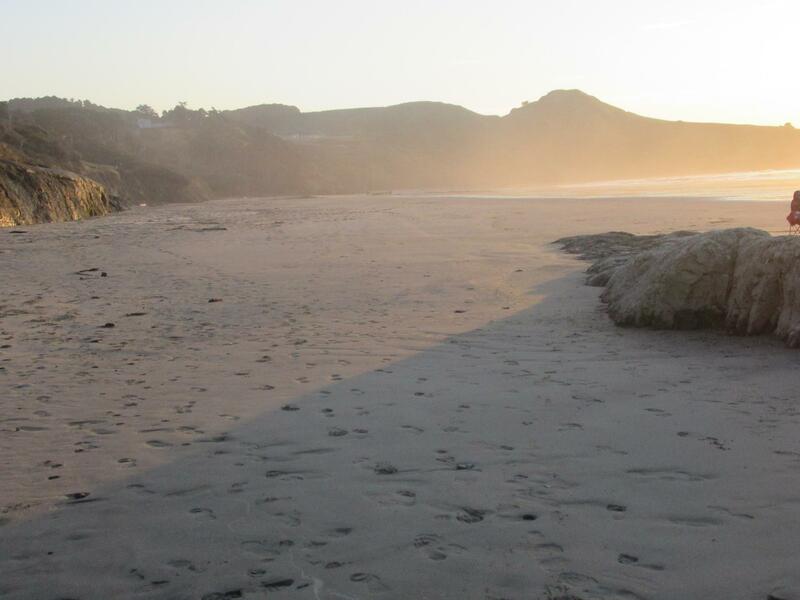 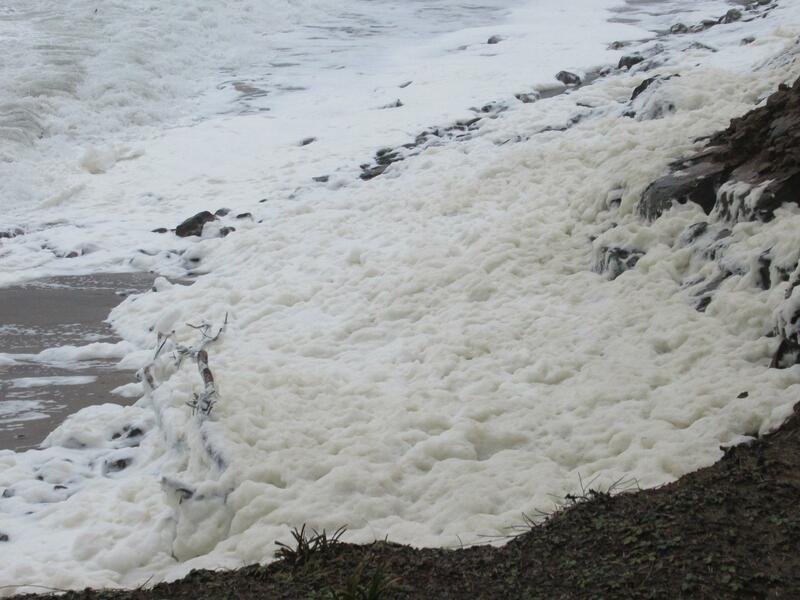 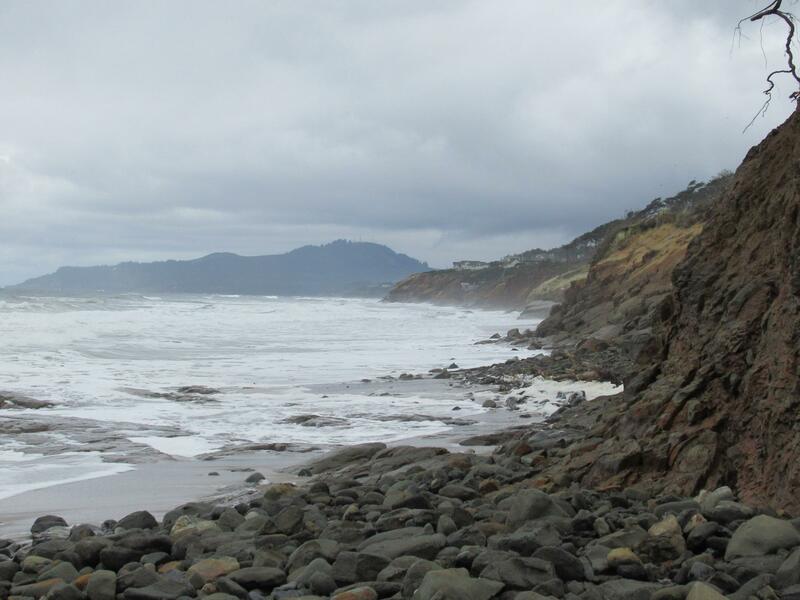 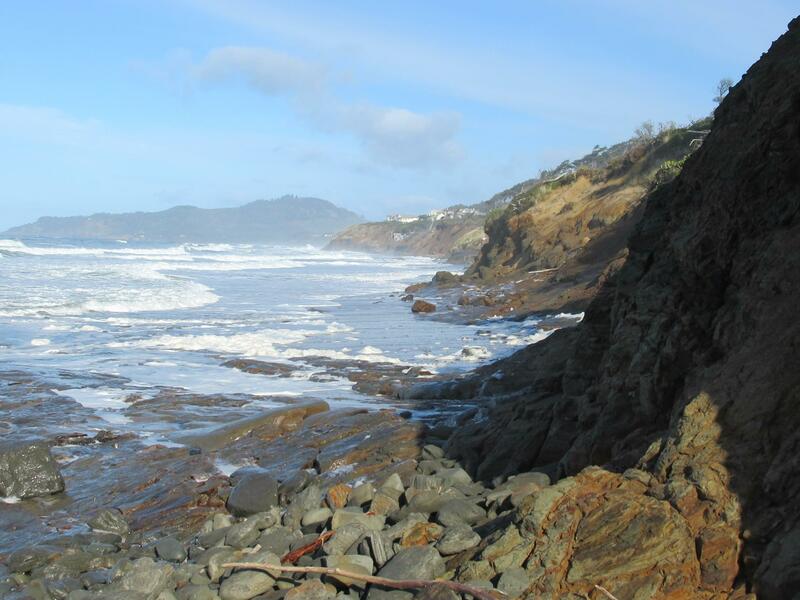 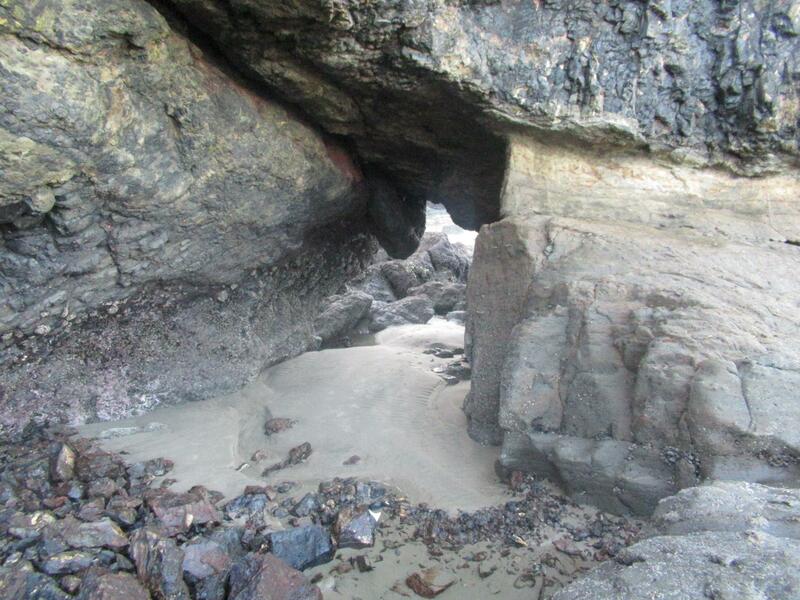 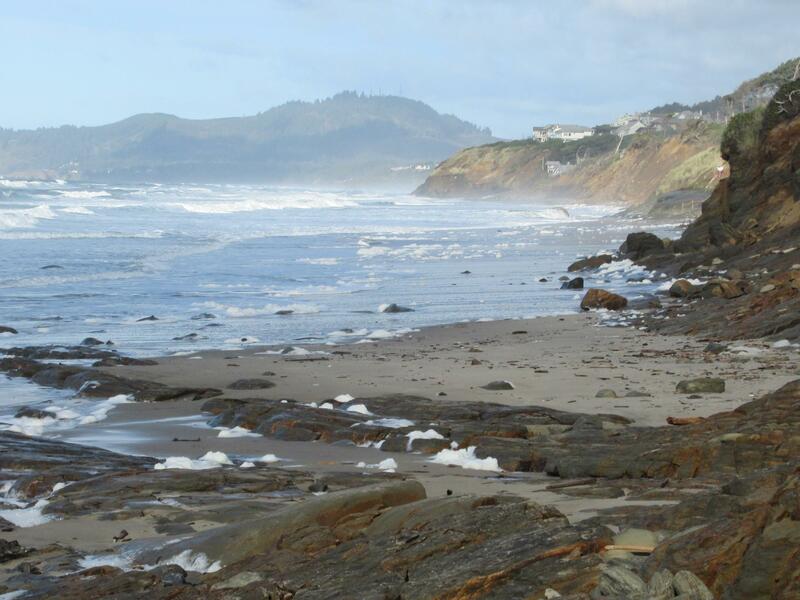 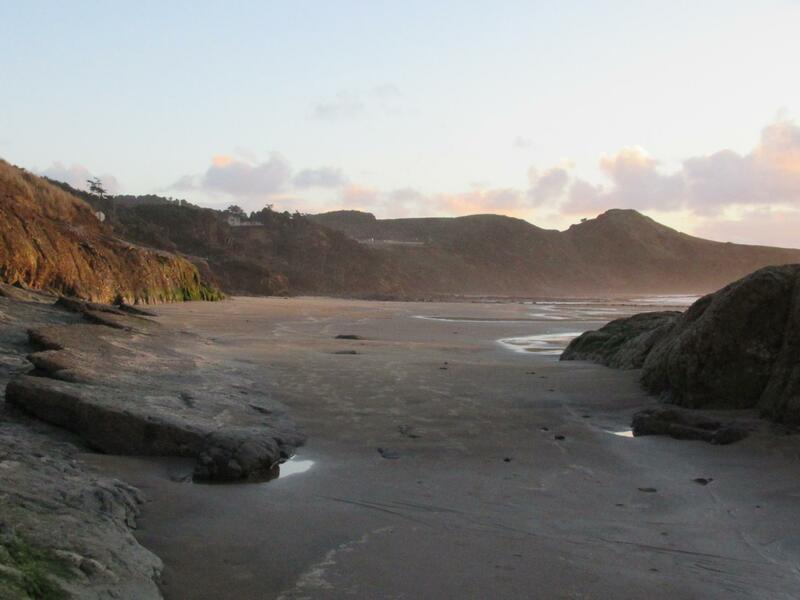 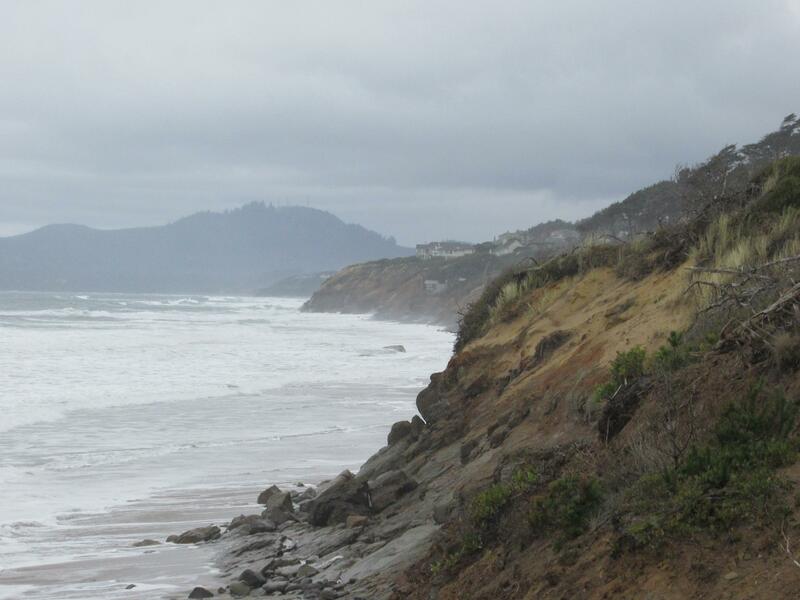 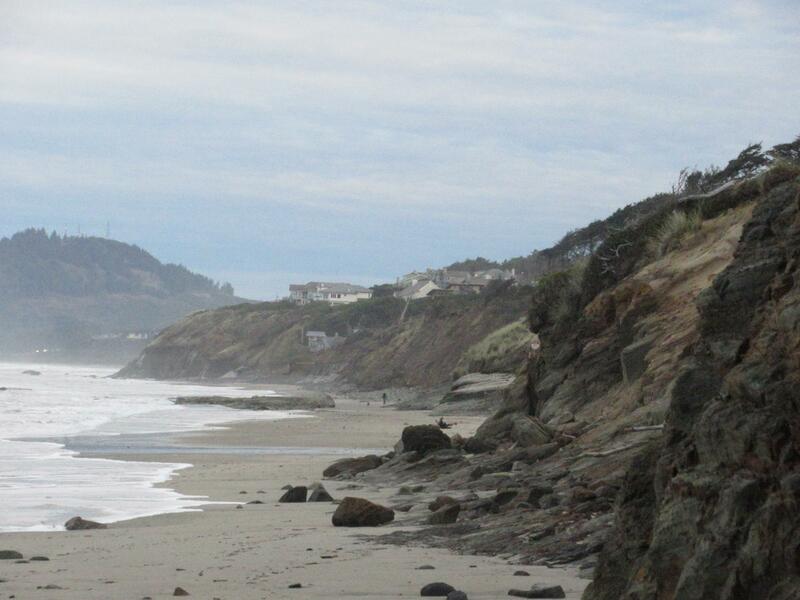 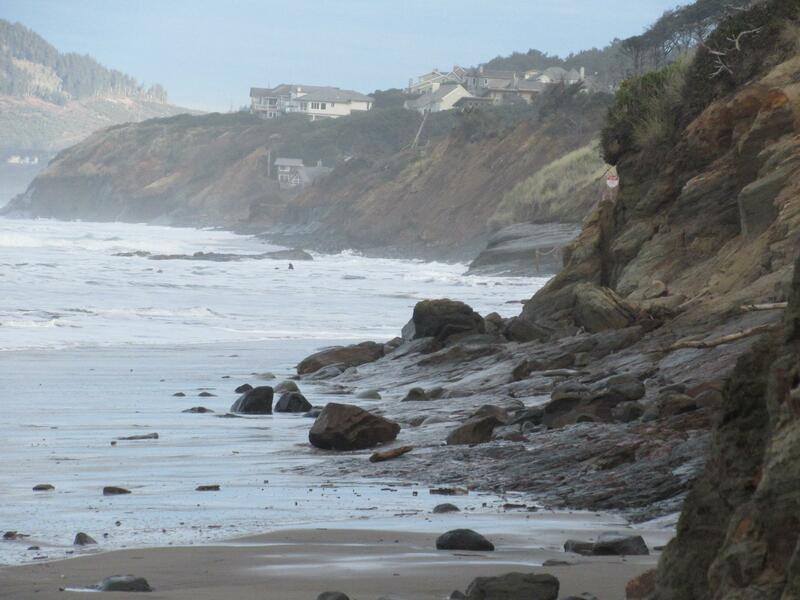 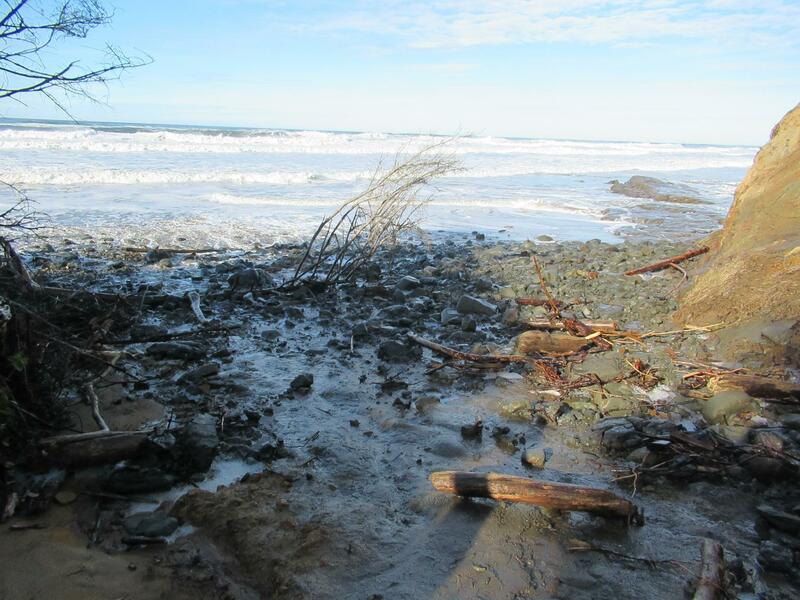 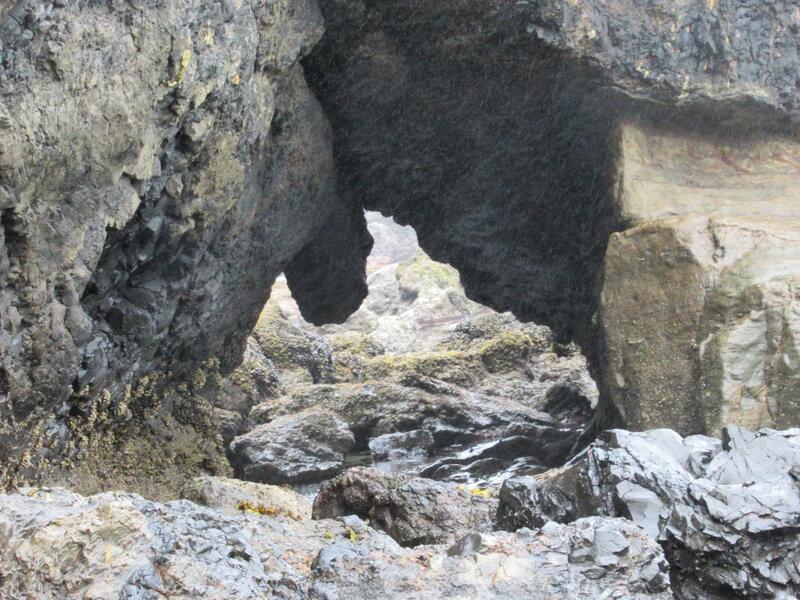 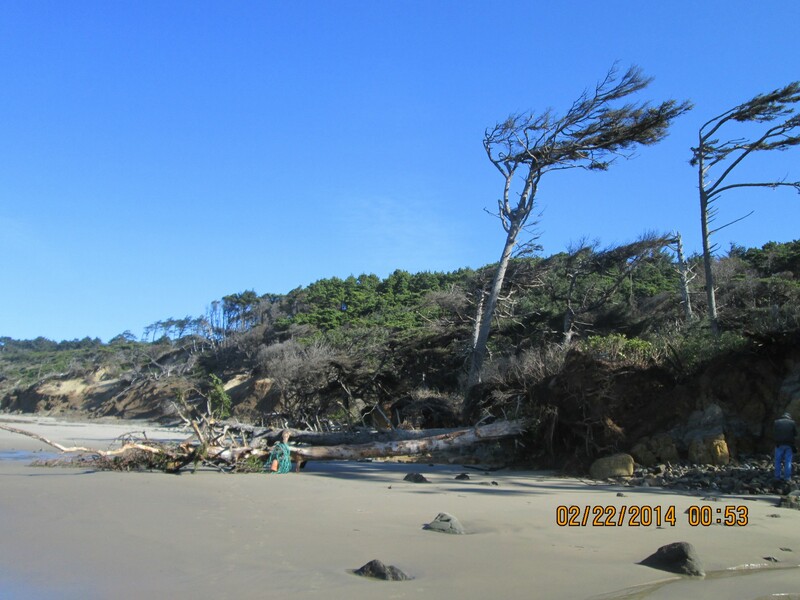 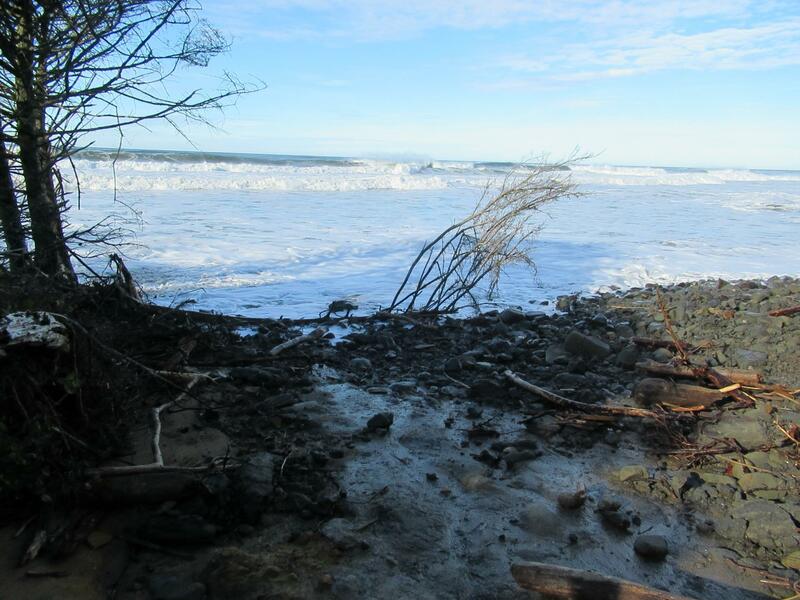 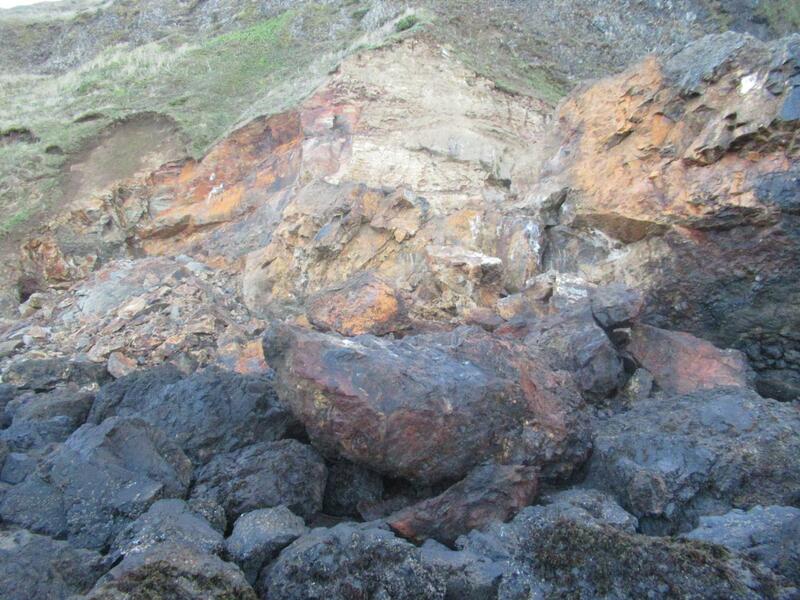 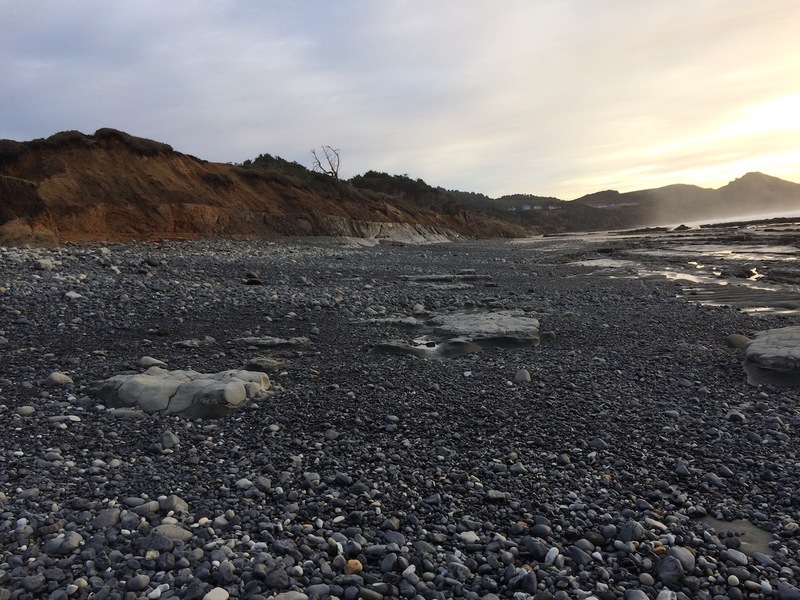 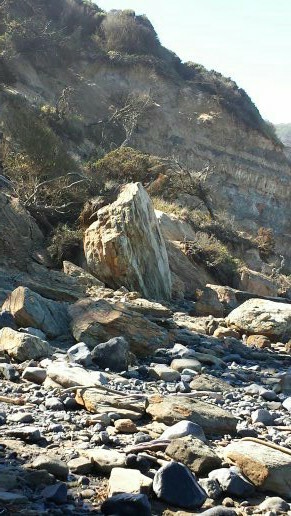 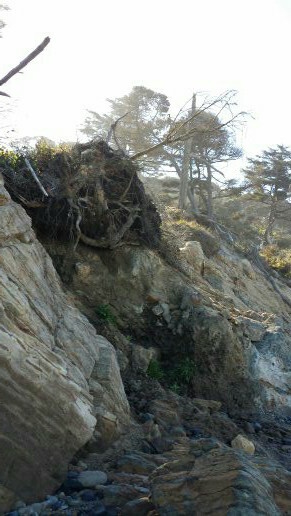 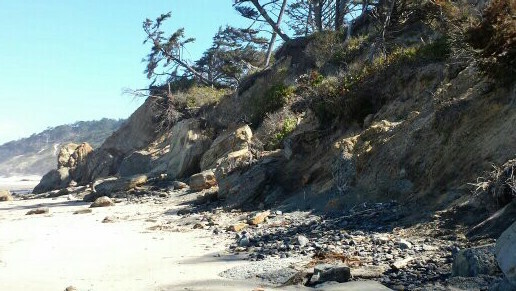 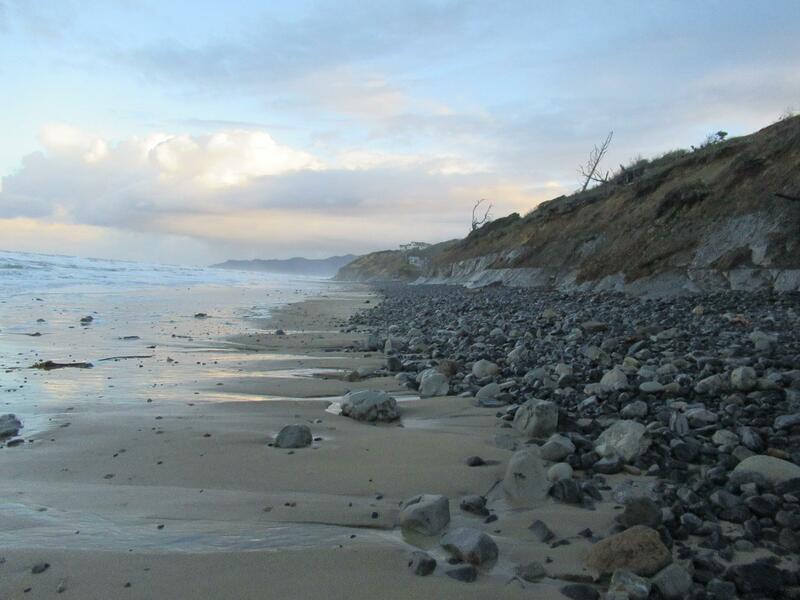 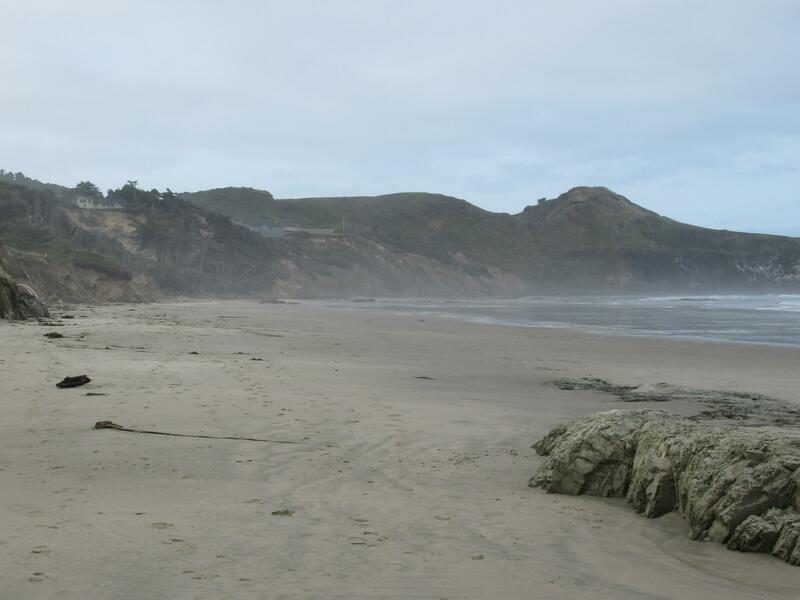 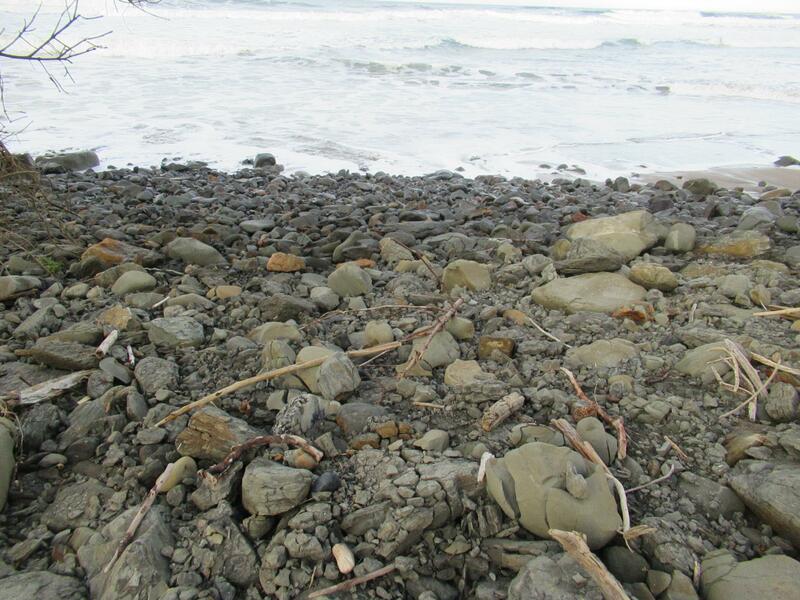 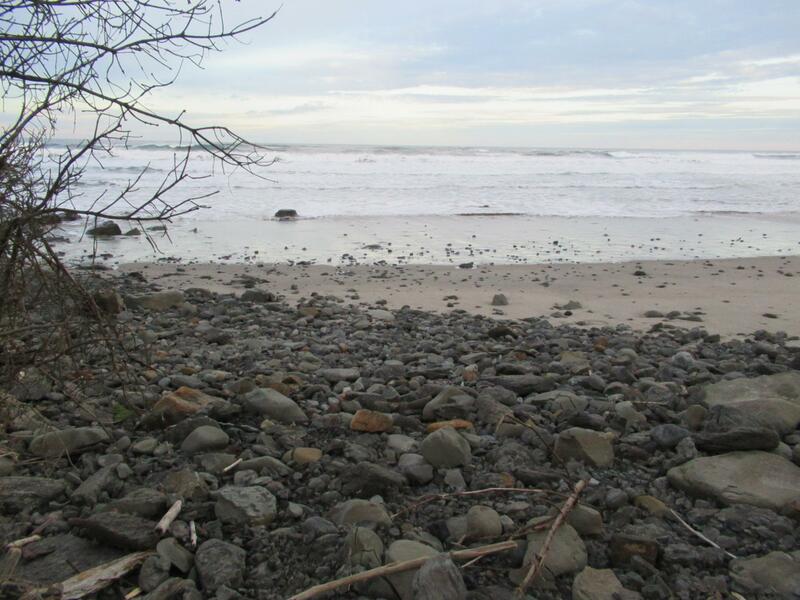 Increase of erosion at Yaquina Cliff. 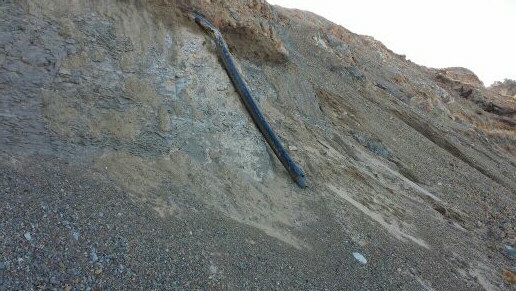 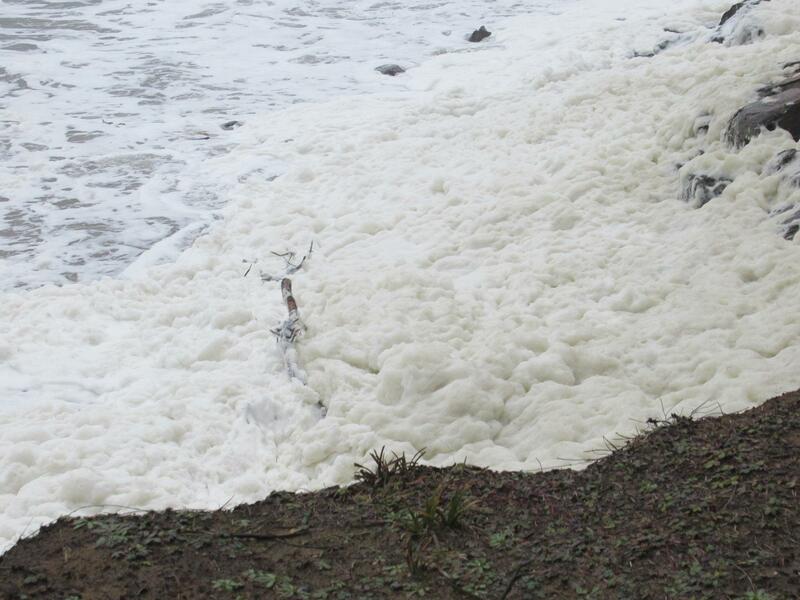 Increase of erosion of pipes. 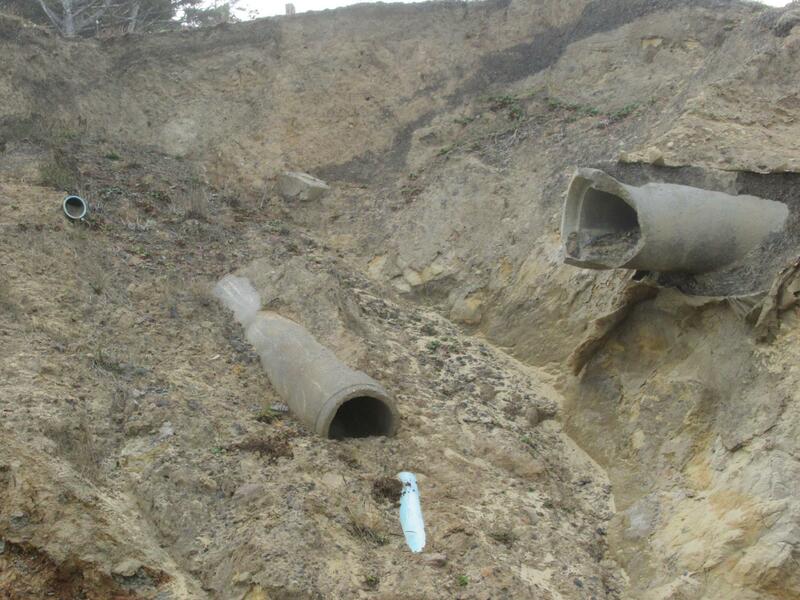 New set of pipes seen from erosion. 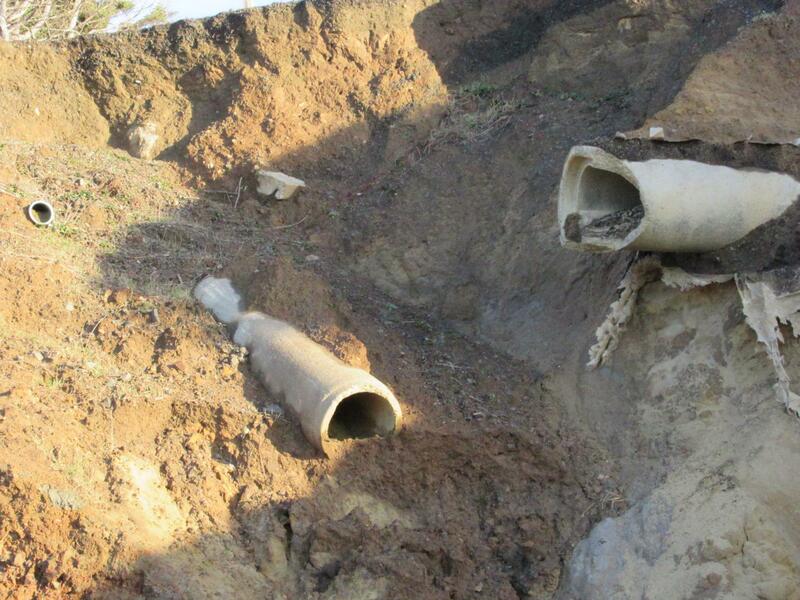 Concrete blocks preventing parking at NW 68th street.